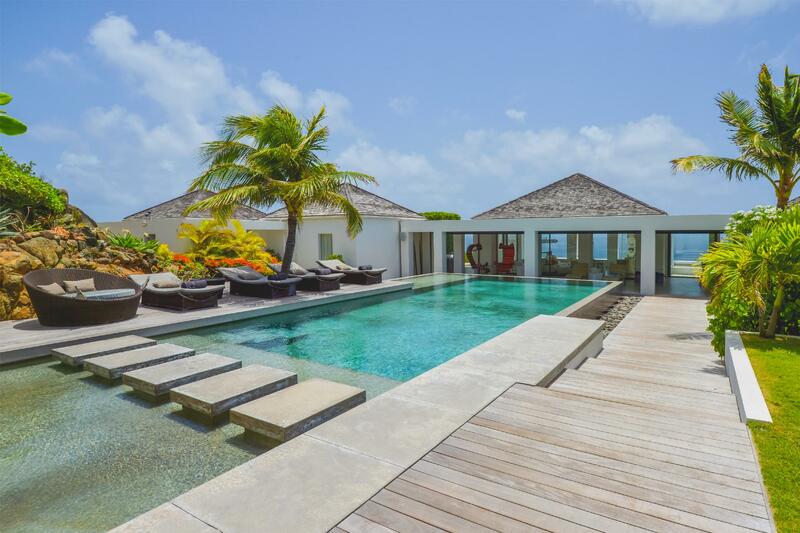 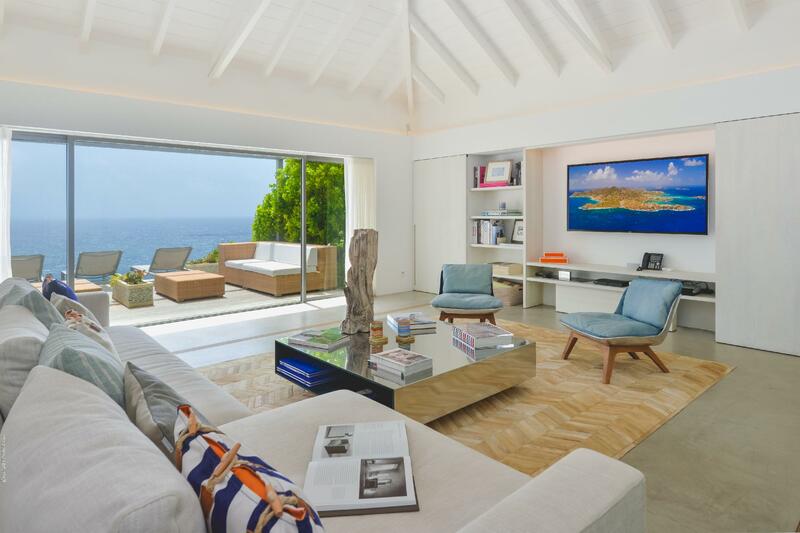 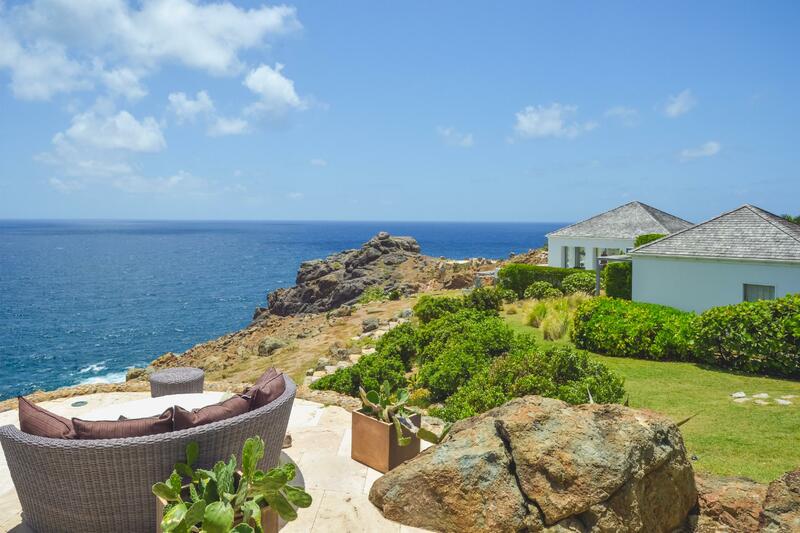 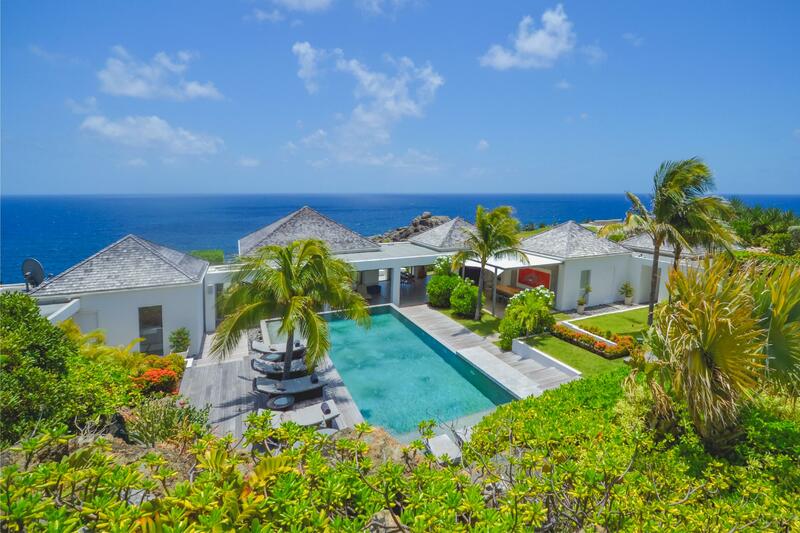 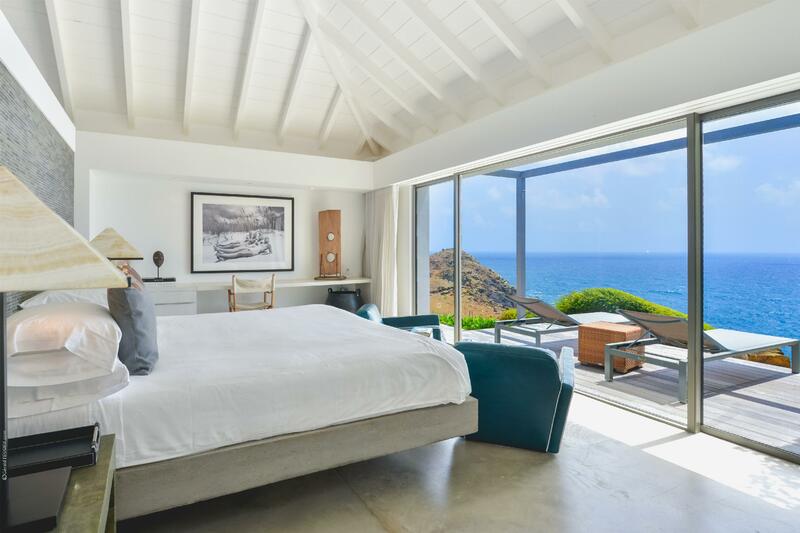 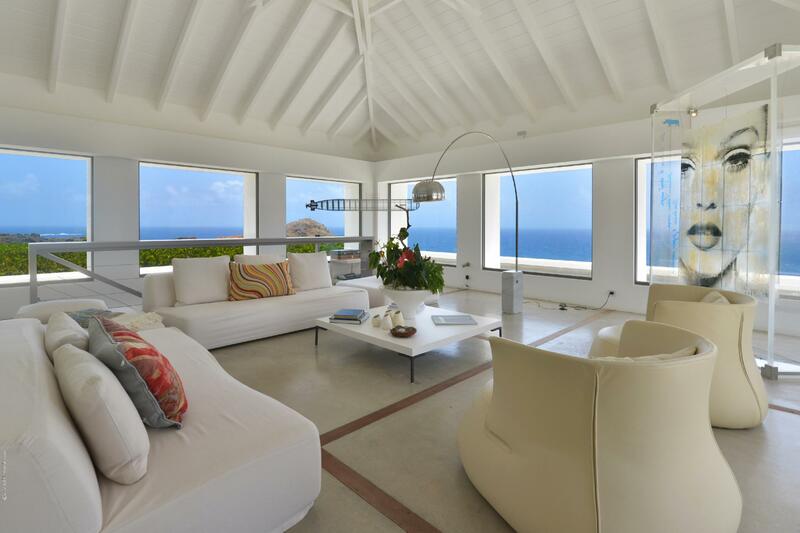 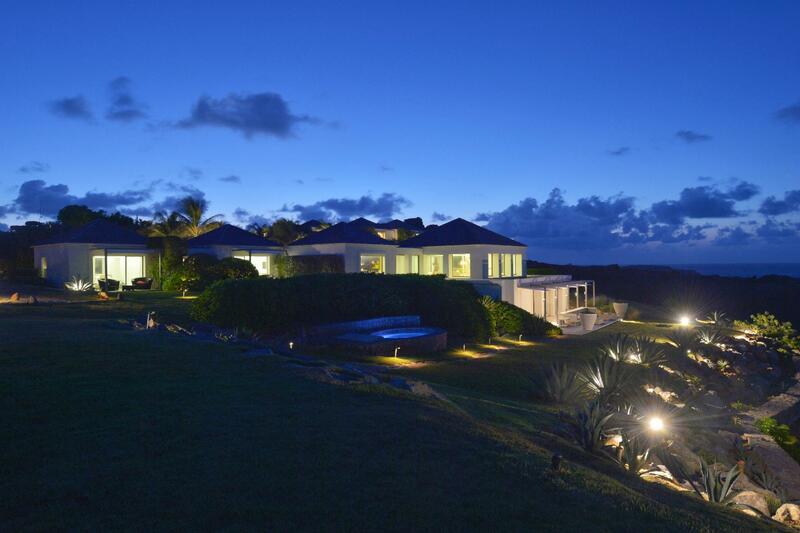 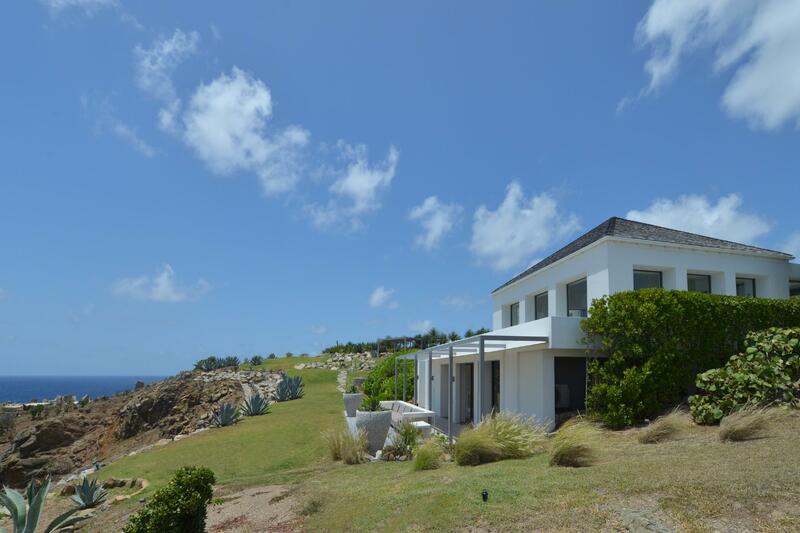 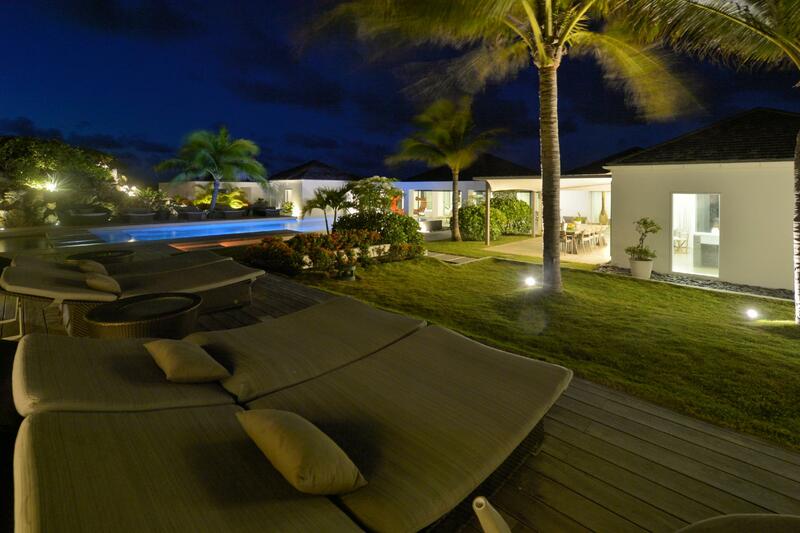 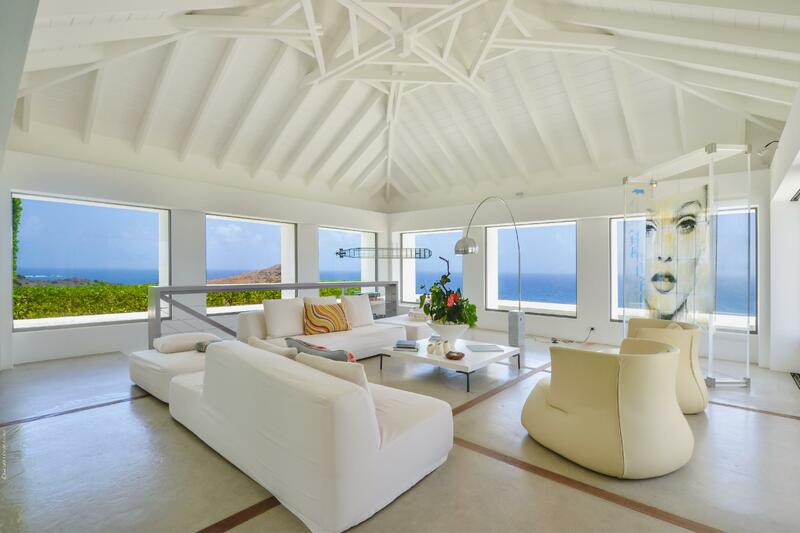 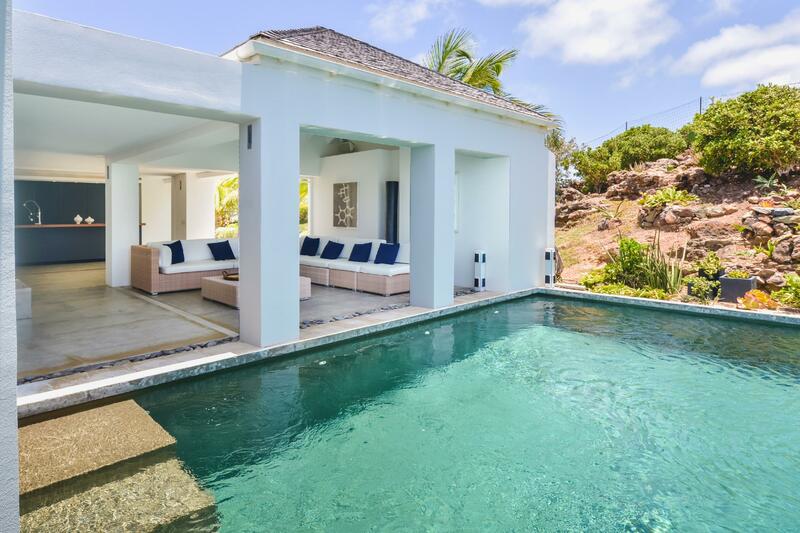 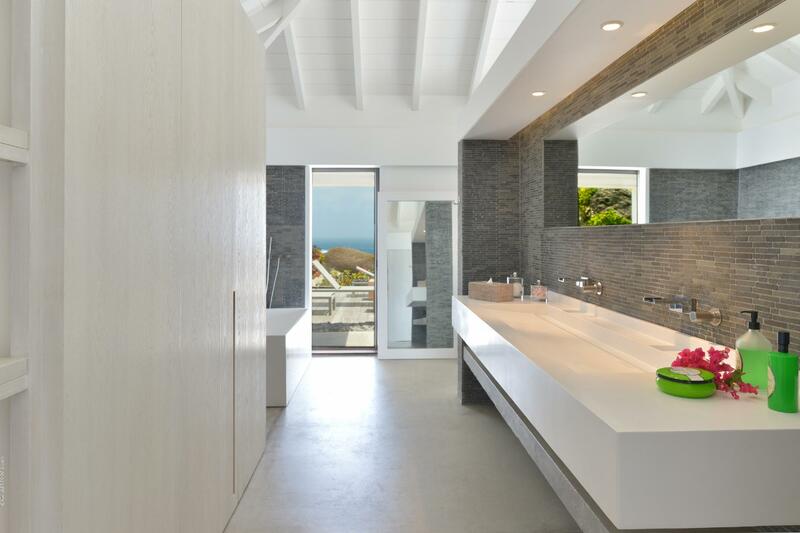 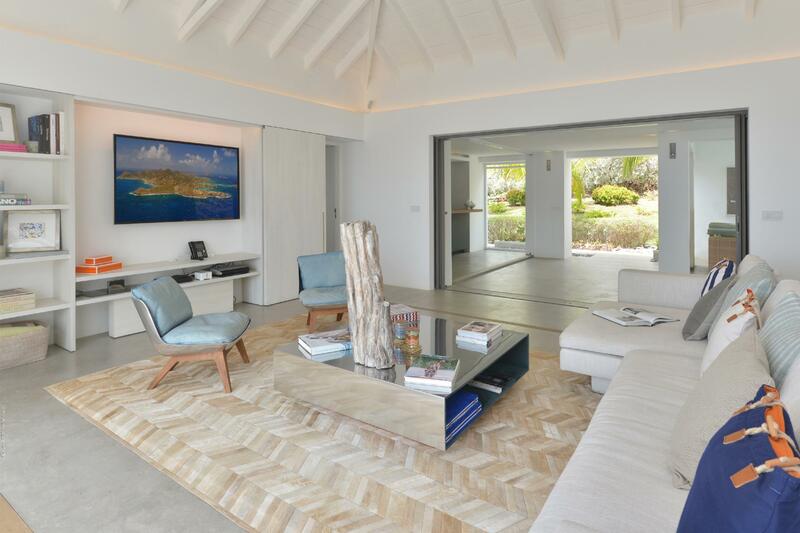 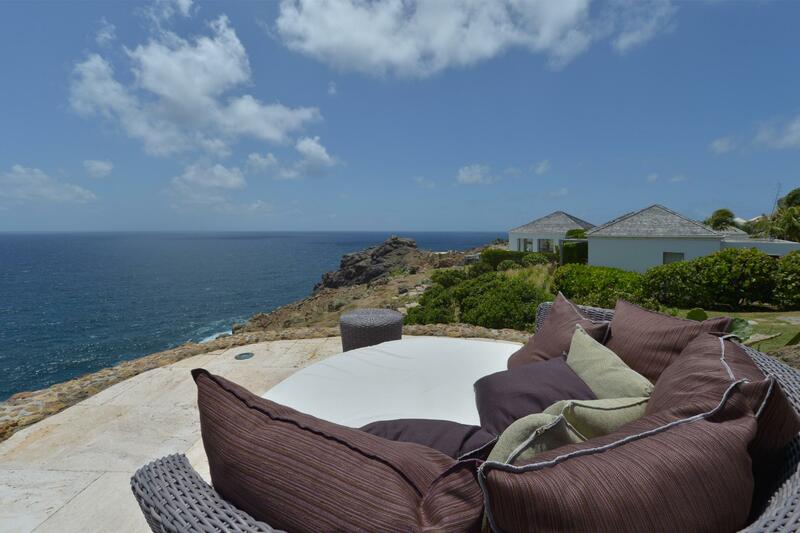 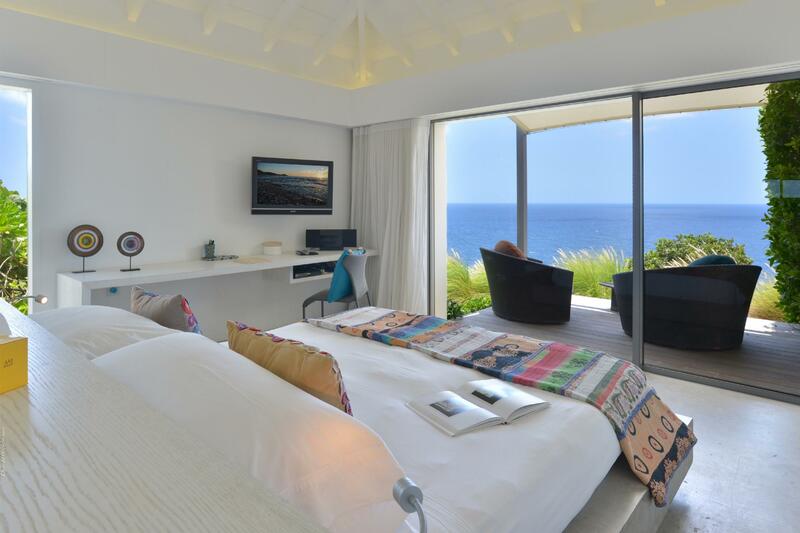 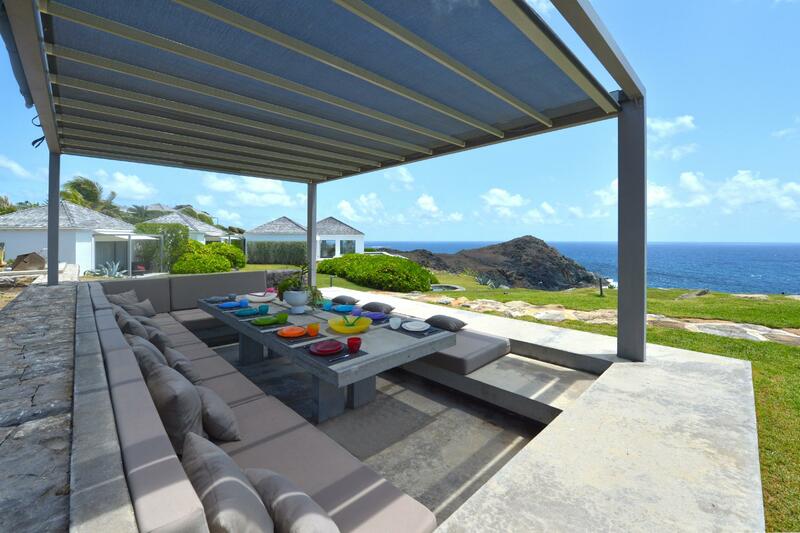 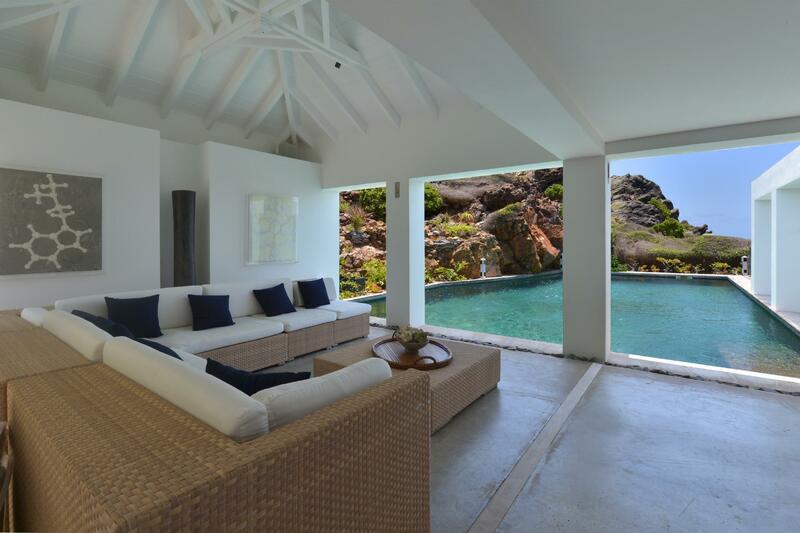 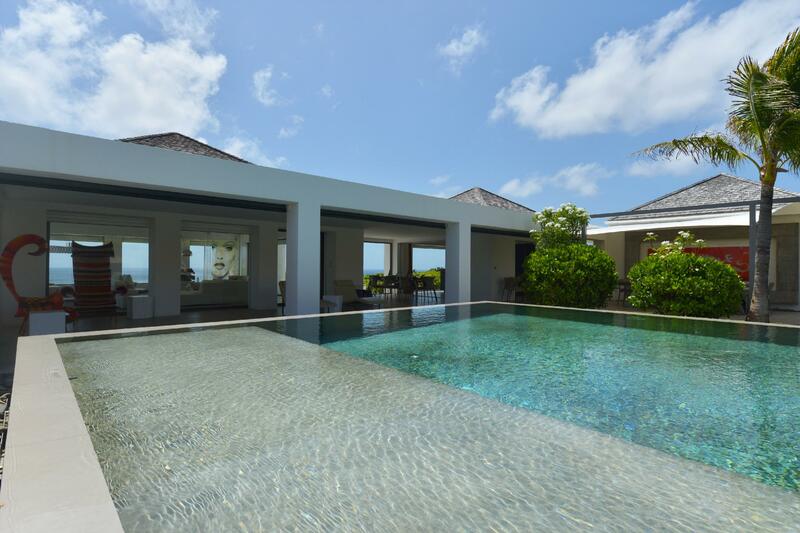 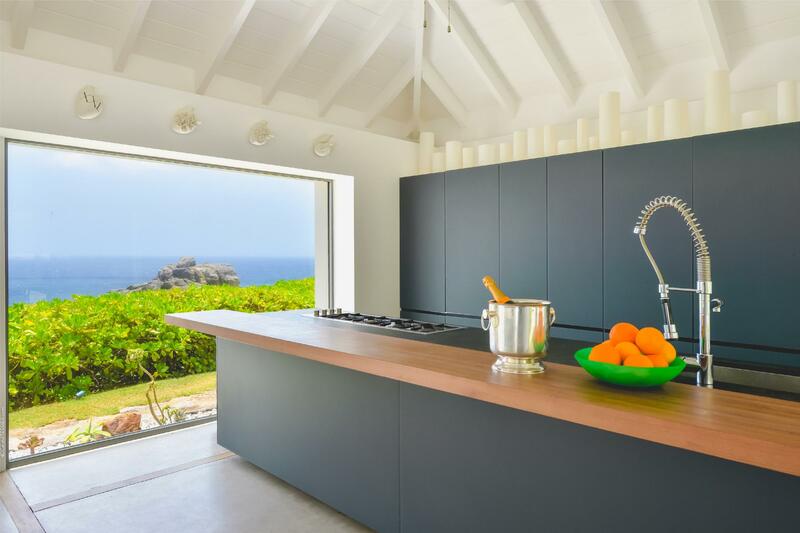 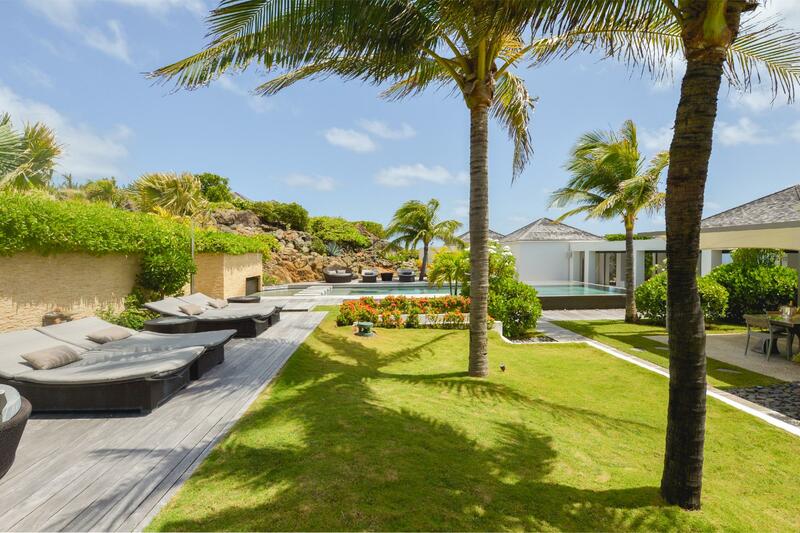 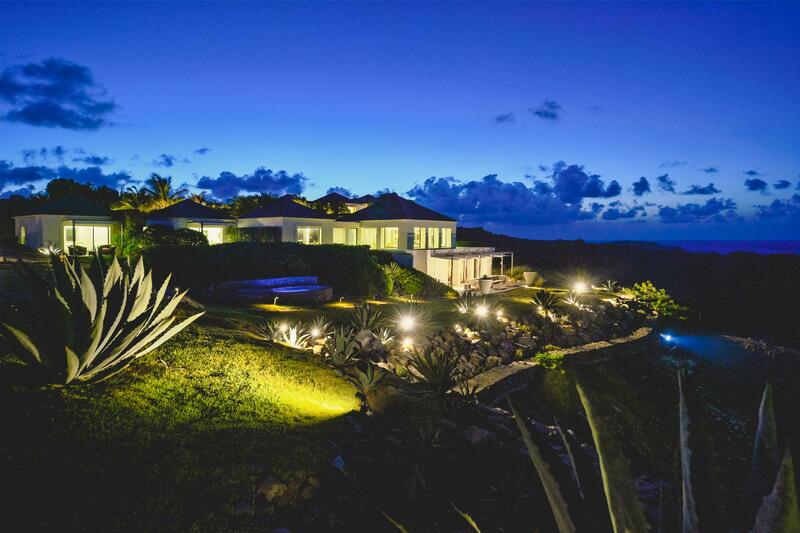 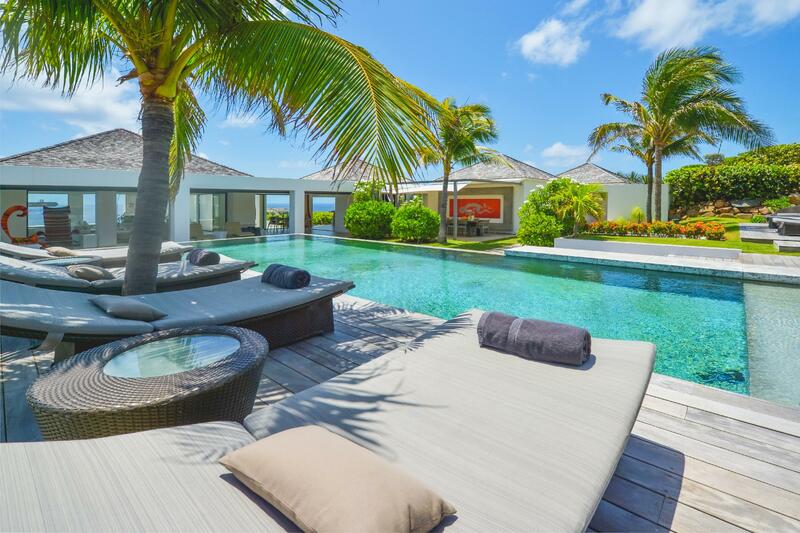 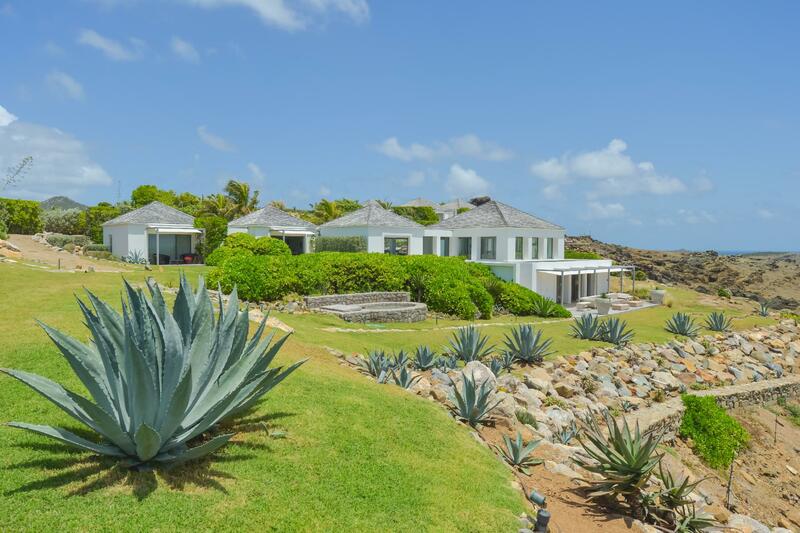 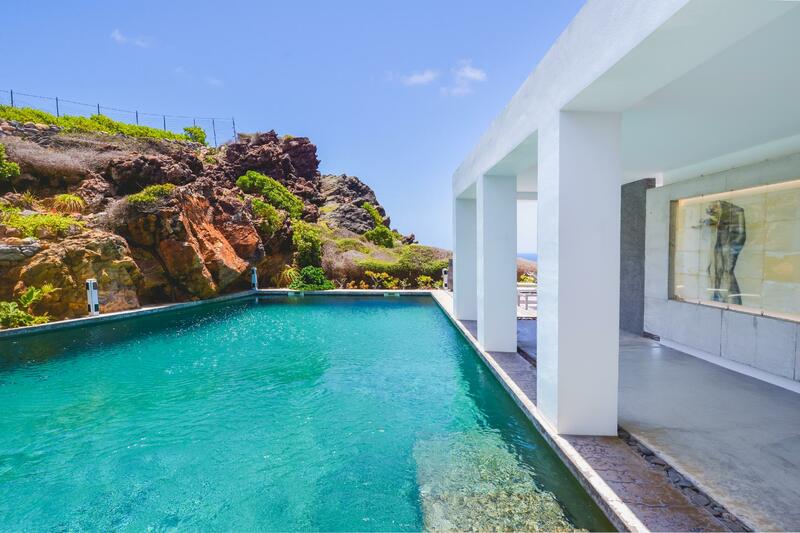 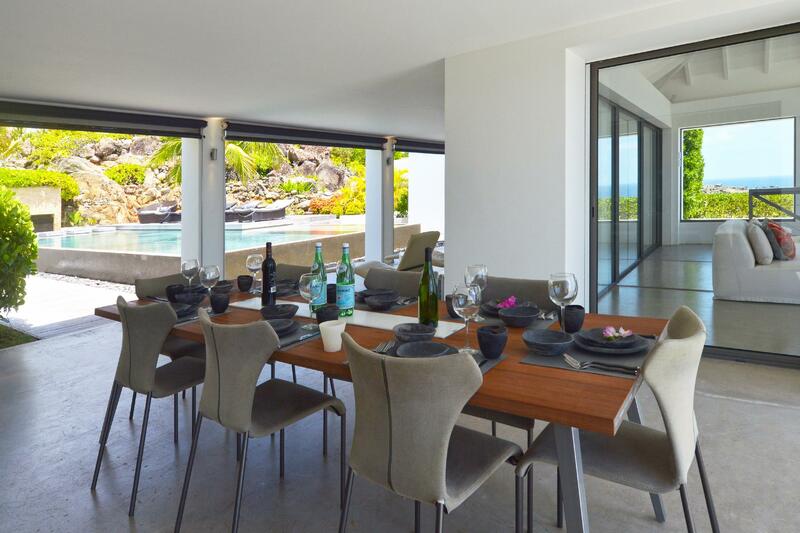 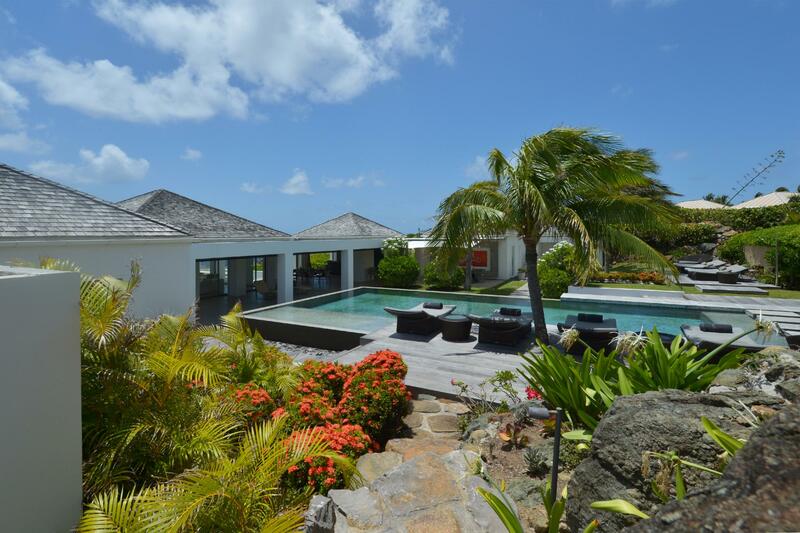 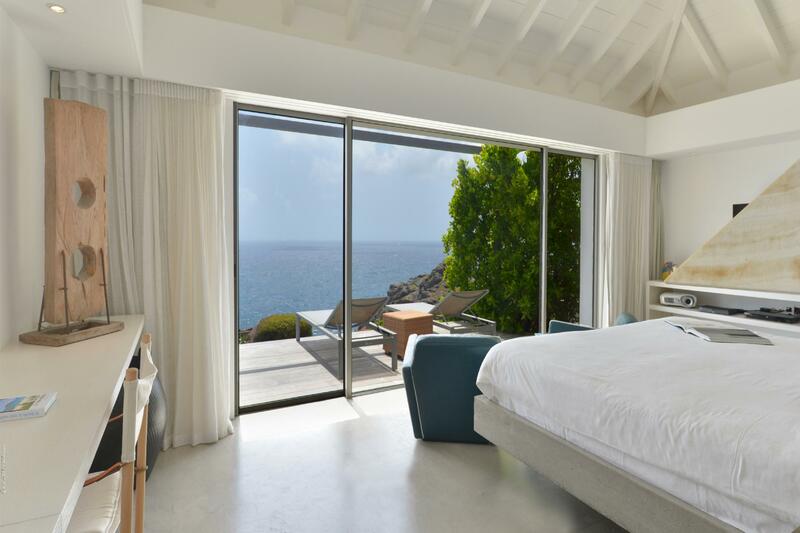 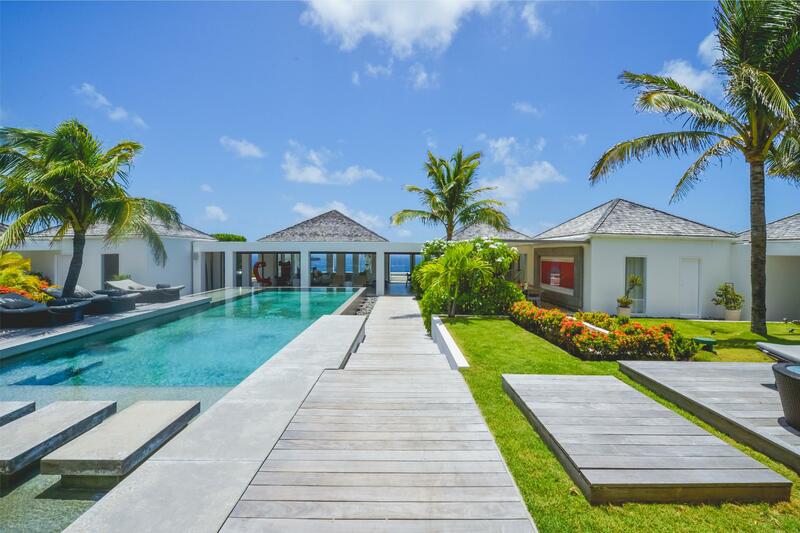 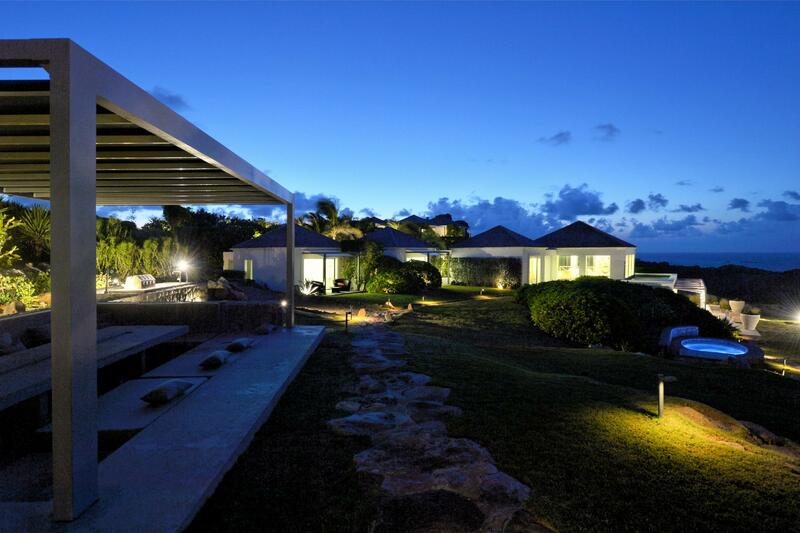 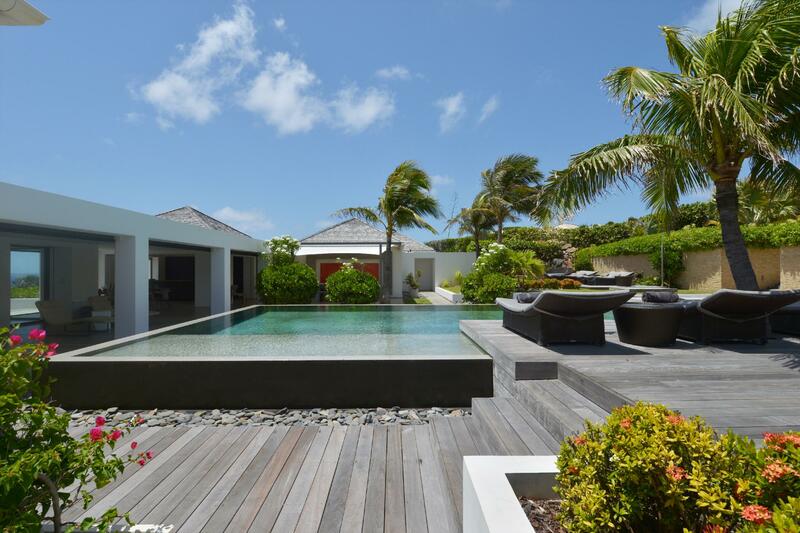 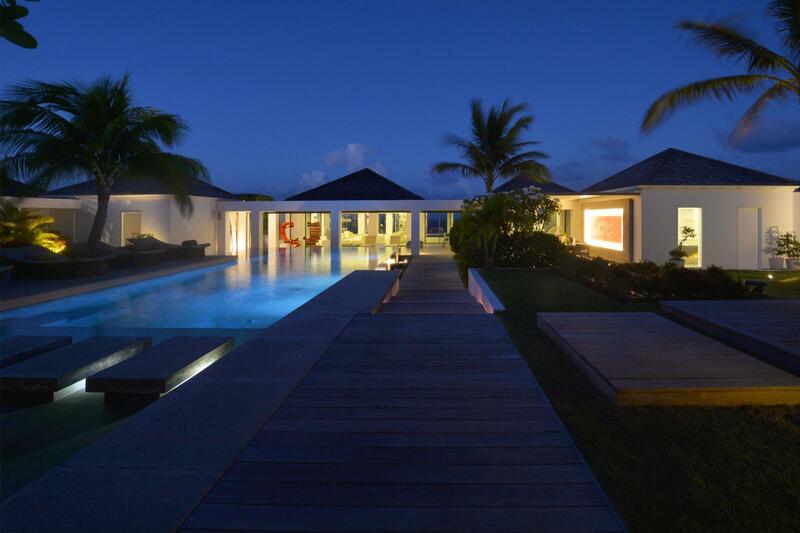 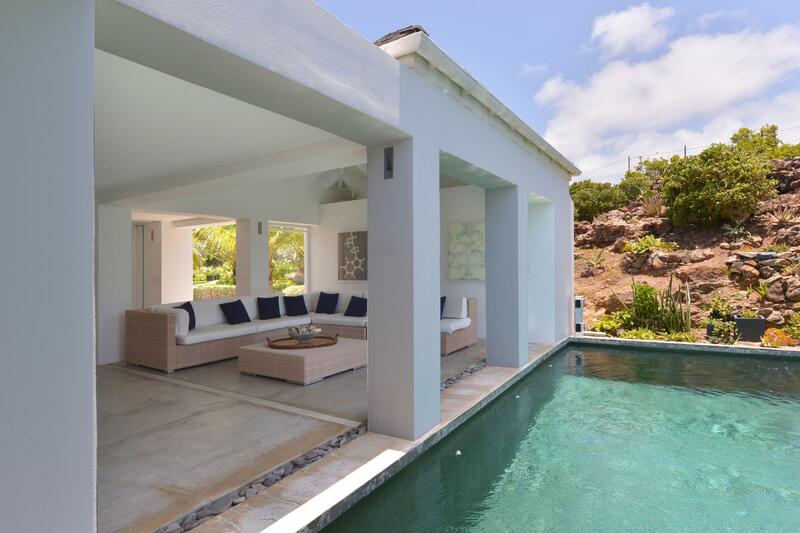 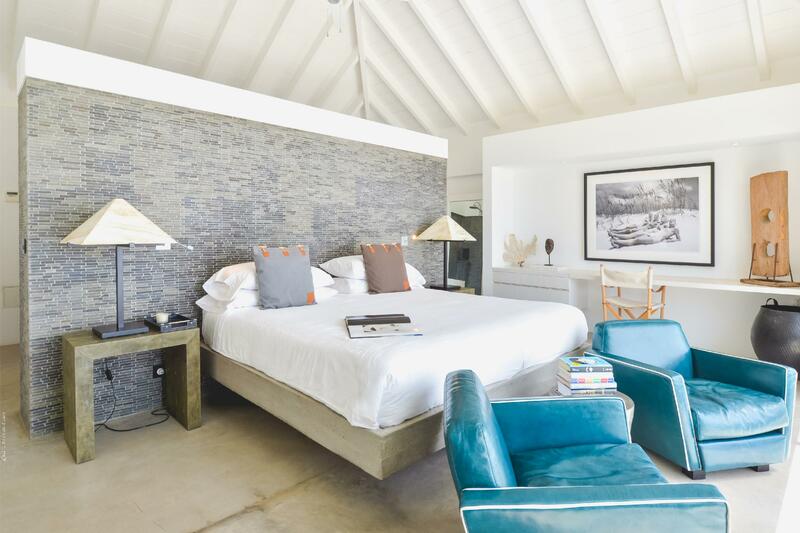 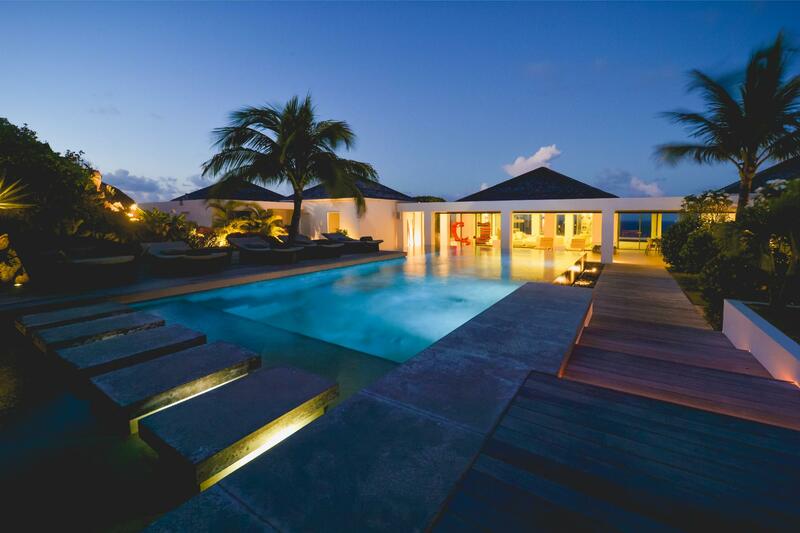 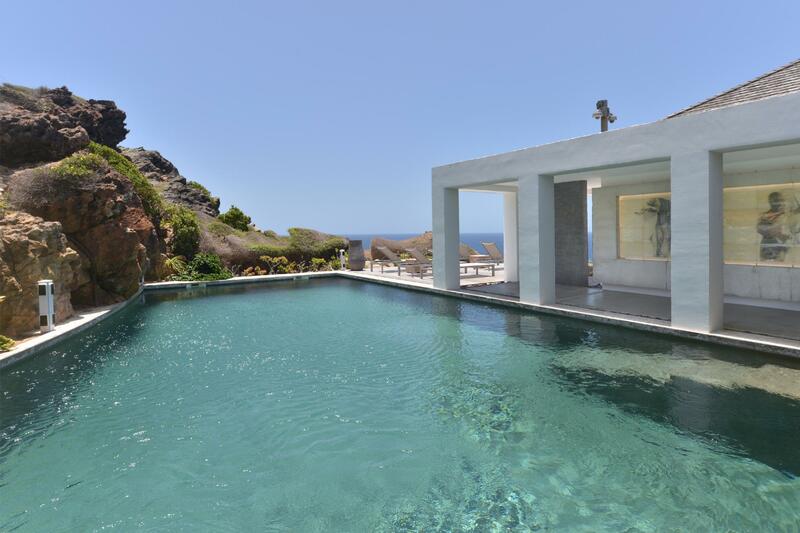 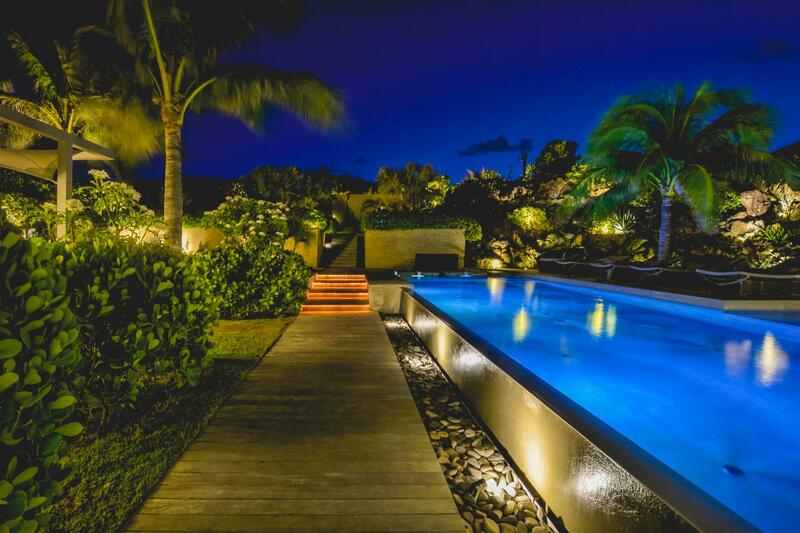 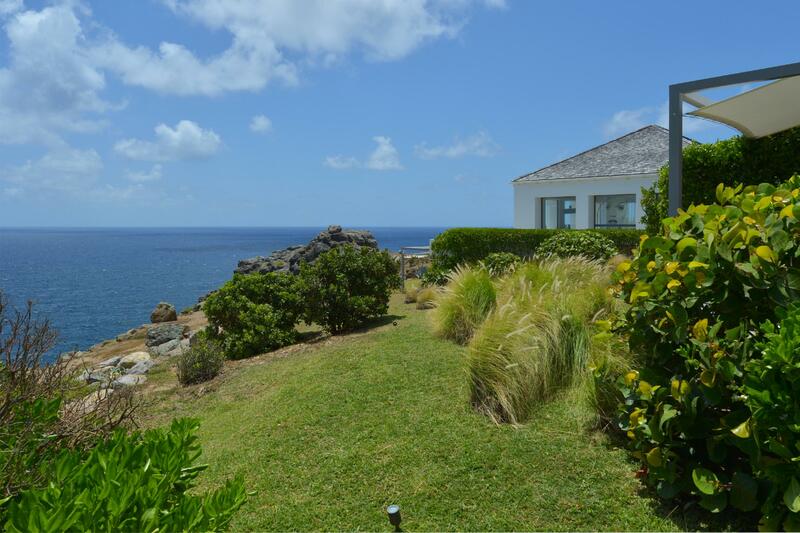 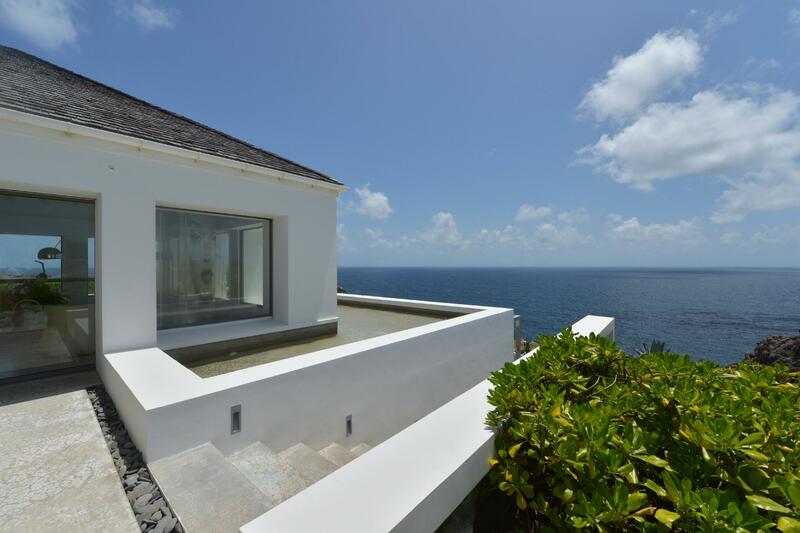 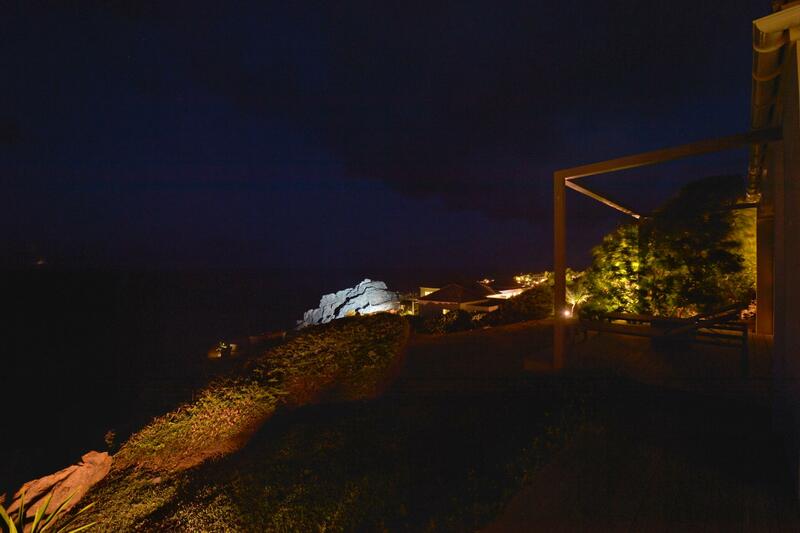 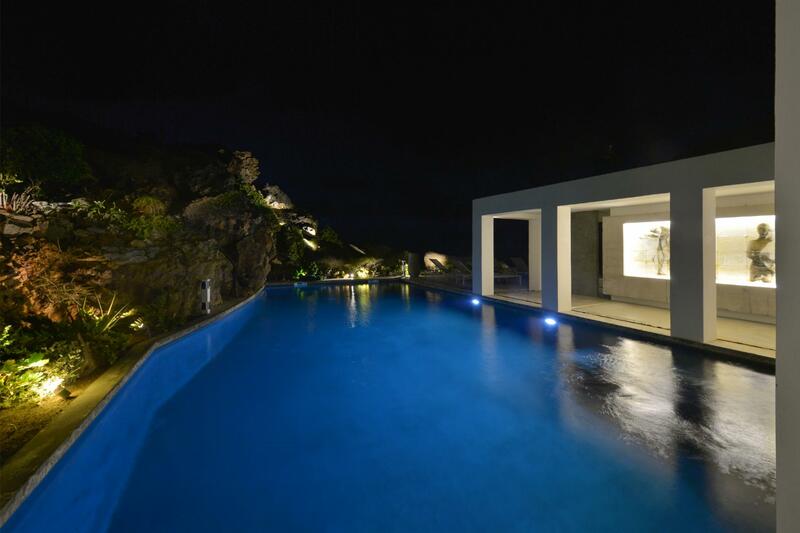 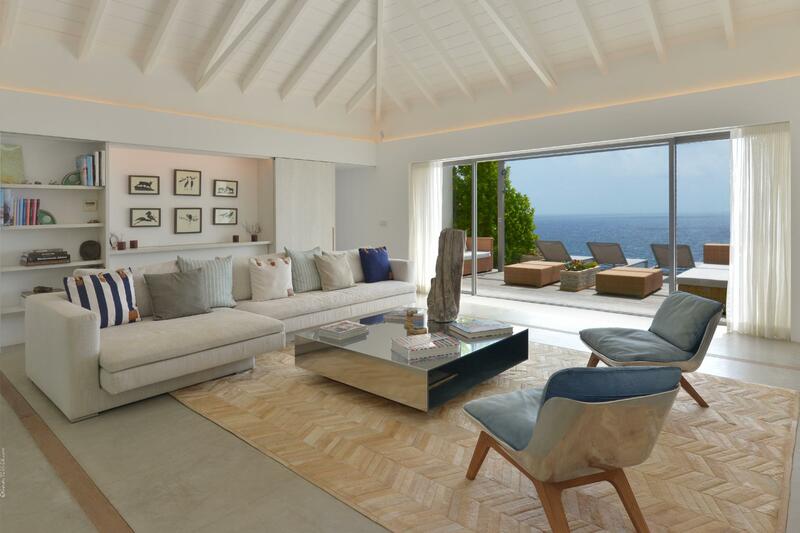 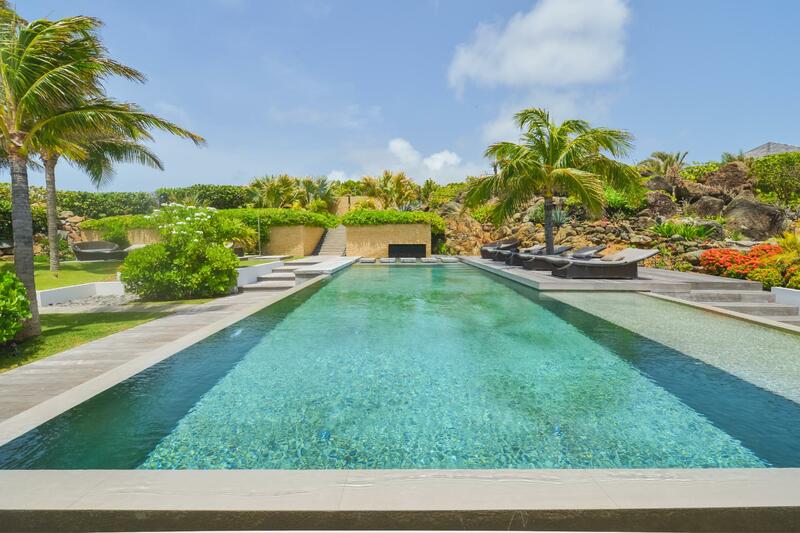 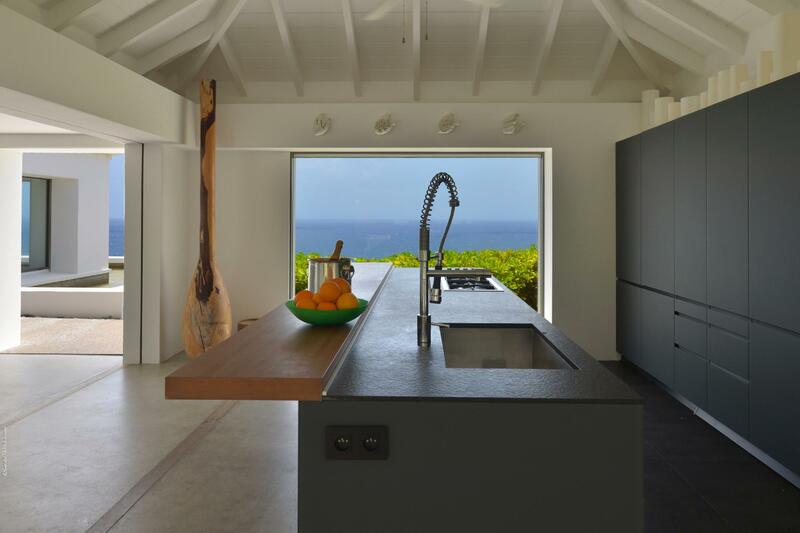 The shimmering blue ocean is the star at Villa Casa del Mar (CMA), which comprises of two connected villas in the Petit Cul de Sac area within the private Domaine du Levant community on the east side of St. Barth. 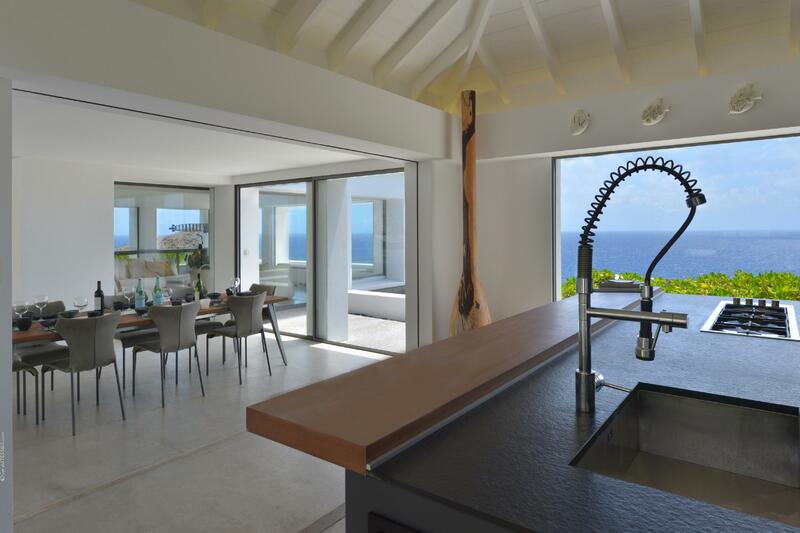 The villas&#151;which are perched at the edge of a promontory overlooking the sea below&#151;are situated on two adjacent plots of land totaling approximately 3 hectares (7.5 acres), spanning from the Petit Cul de Sac rock beach all the way across to the cliff side of the Domaine du Levant. 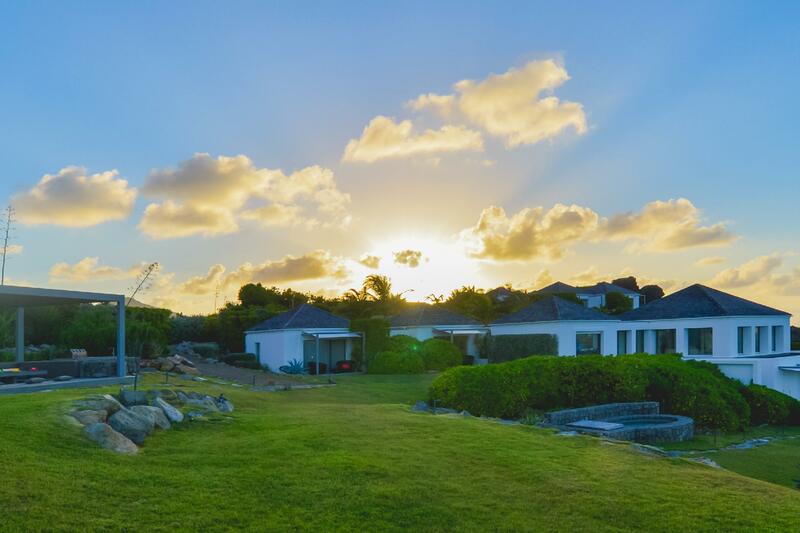 The size and expanse of the property, and the positioning of the villas on the lan, affords these luxury vacation homes unprecedented privacy, areas for walking and hiking (both on the property and on the adjacent 20 acres of green zone), and breathtaking bay and ocean views. 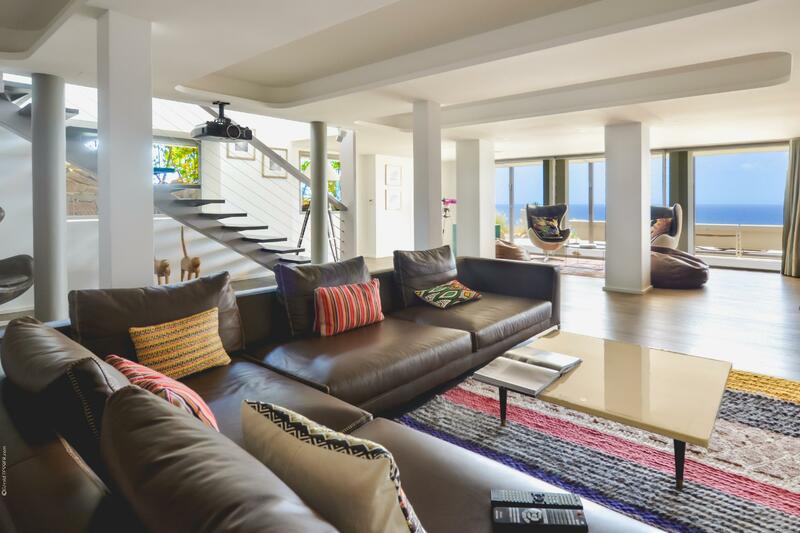 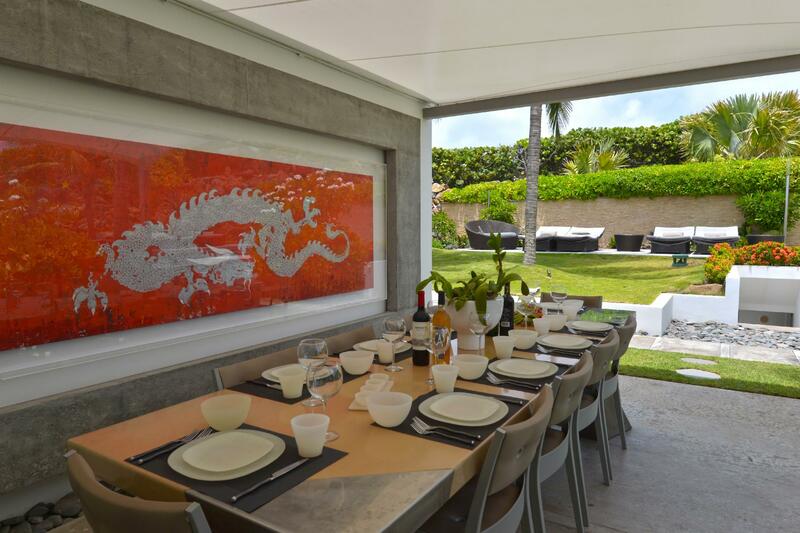 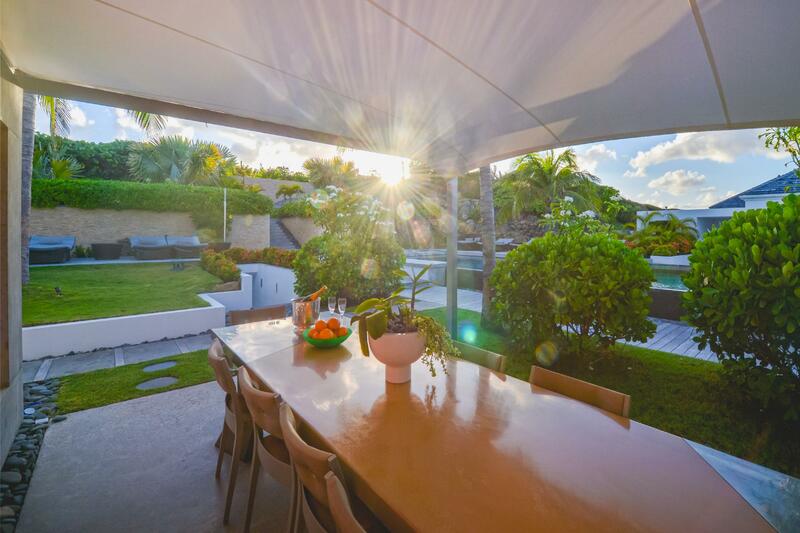 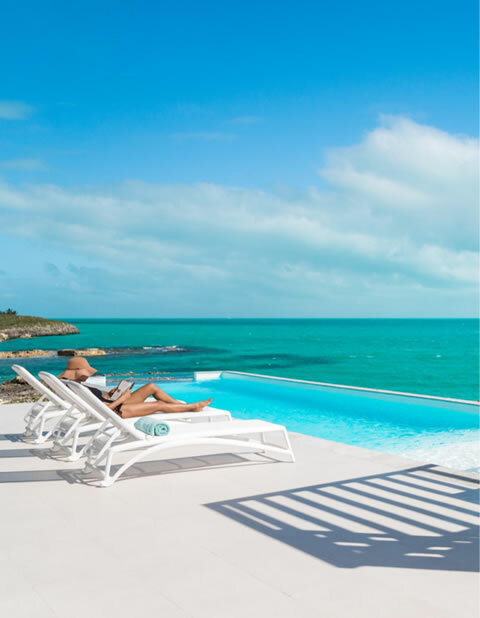 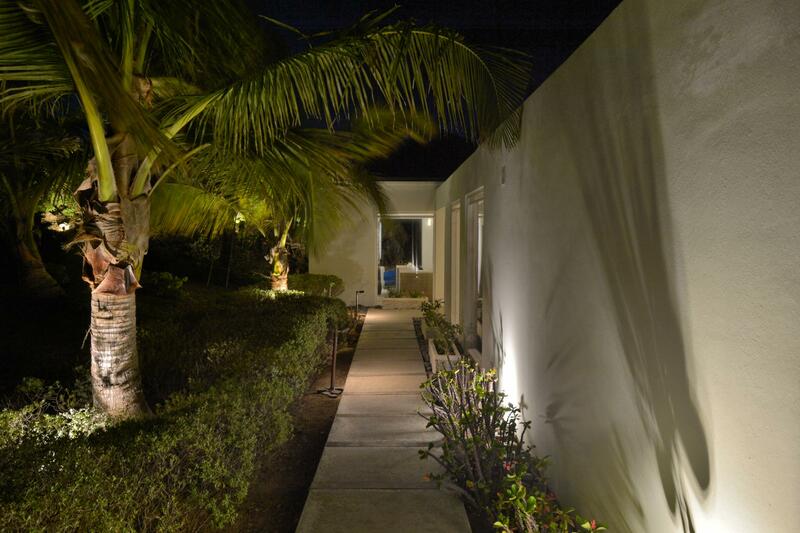 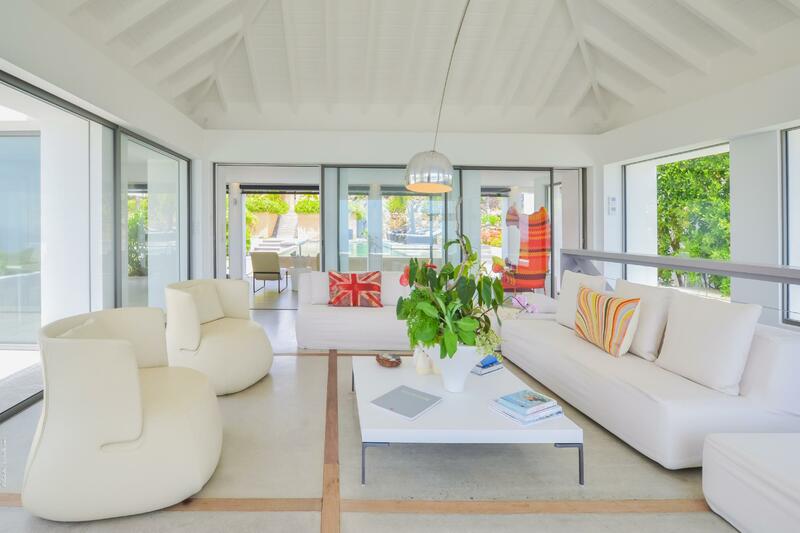 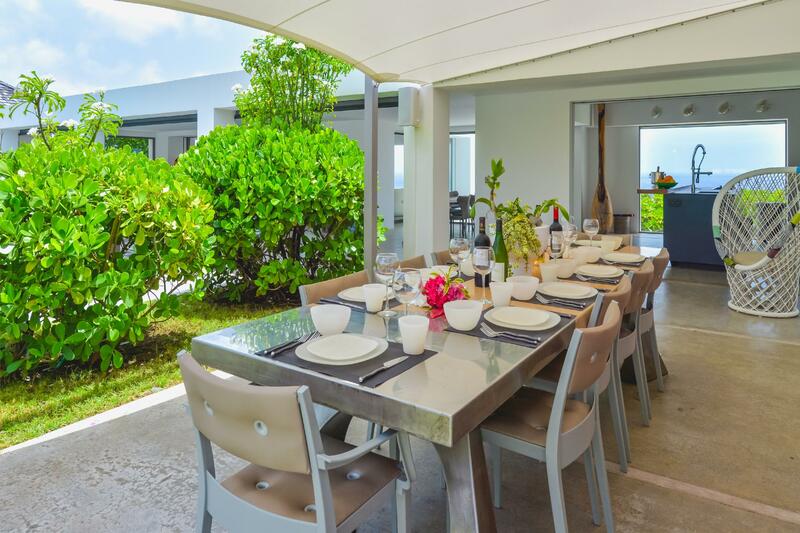 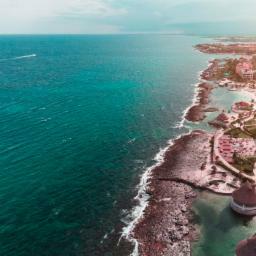 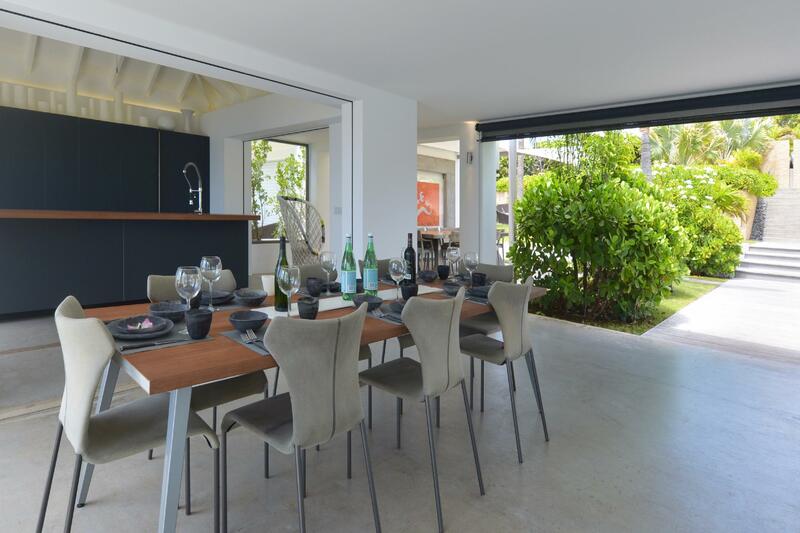 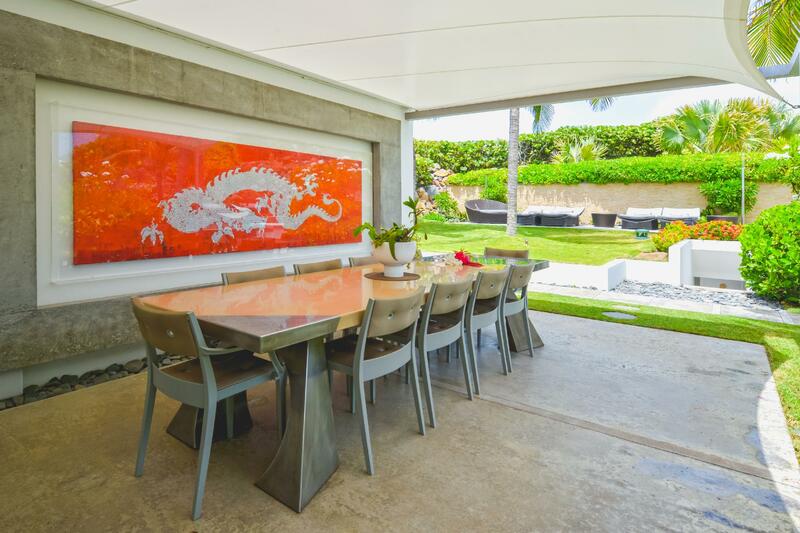 The two villas in CMA, Casa del Mar and Casa del Sol, have recently undergone a total reconstruction that transformed them into some of the island&#146;s truly exceptional rental properties. 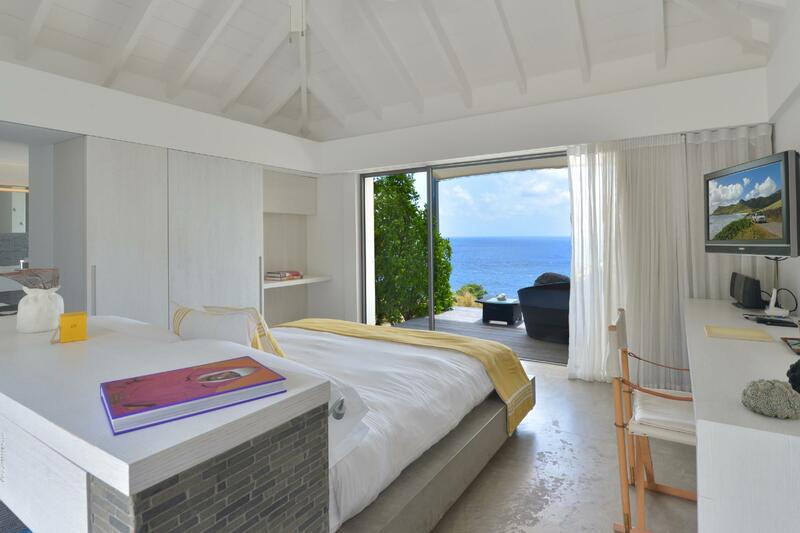 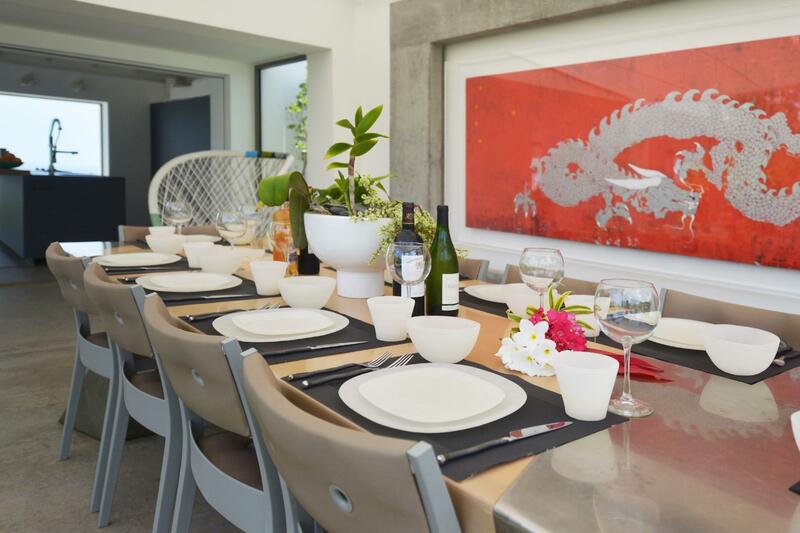 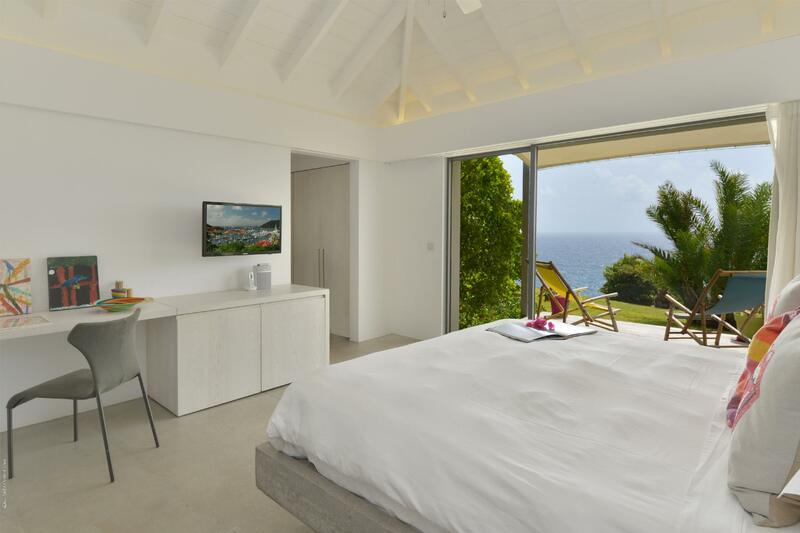 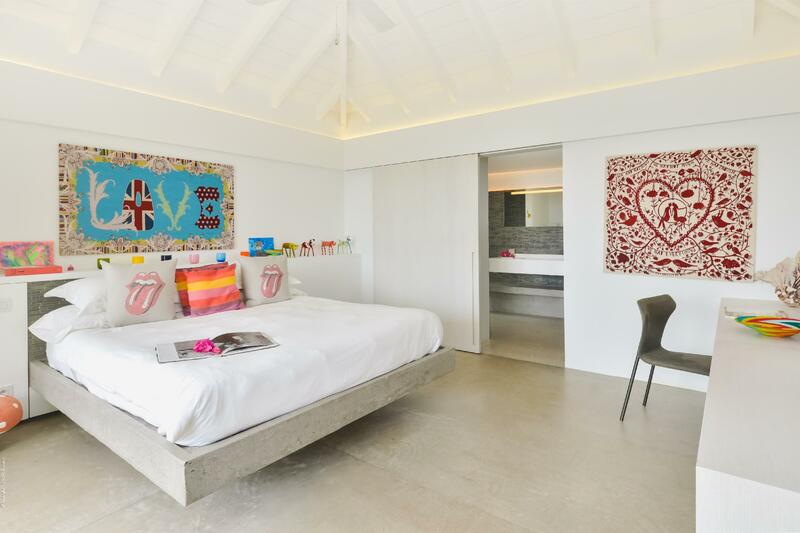 The owners have invested in a new, minimalist interior design for these vacation homes, furnishings by B&B Italia and Dedon, and artworks by internationally renowned artists. 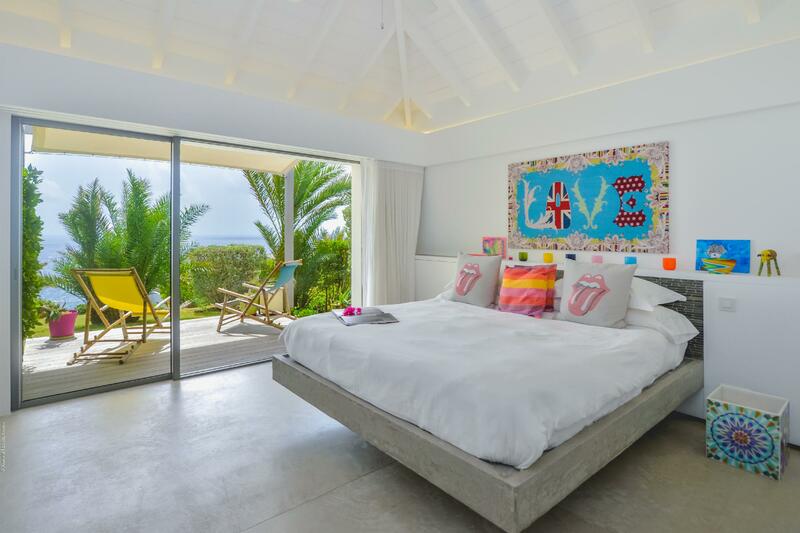 The art and design dazzle the eye whenever you pull your eye from the sweeping views of the Atlantic outside all of the large windows Casa del Sol, high on the very top of the property, contains the master suite and guest bedroom, a private swimming pool, sun decks, a living room and a fully equipped Valcucine kitchen and dining area. 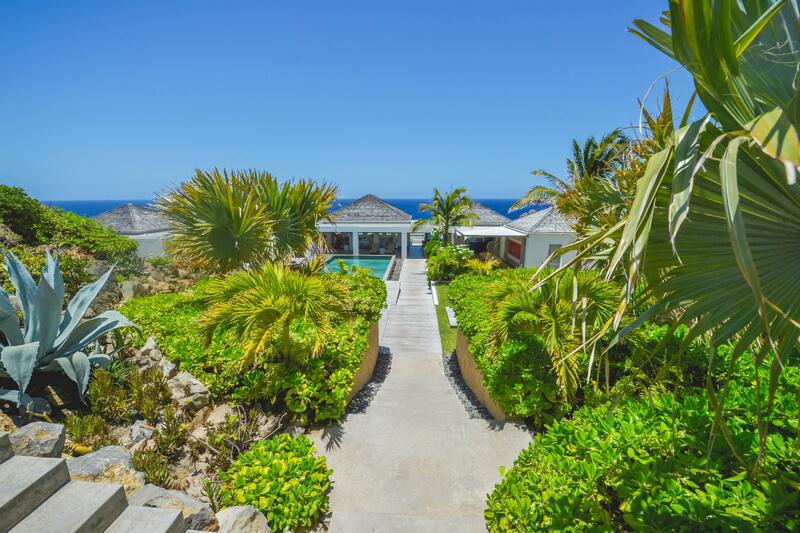 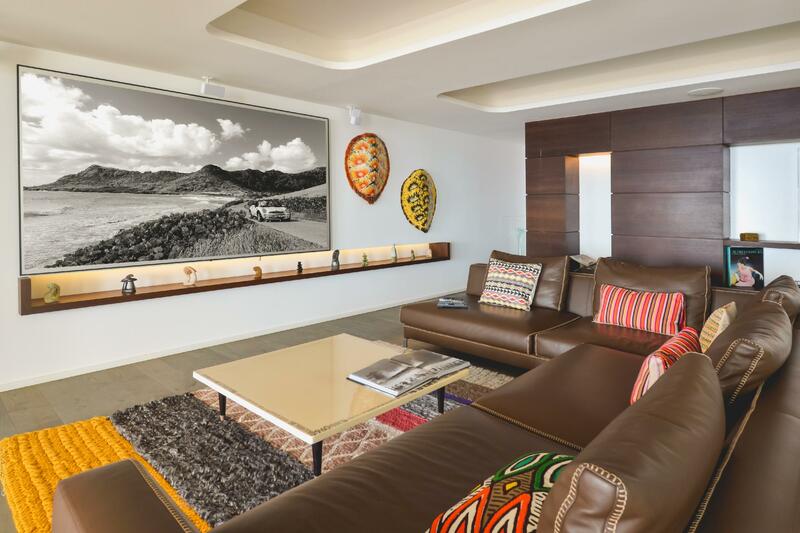 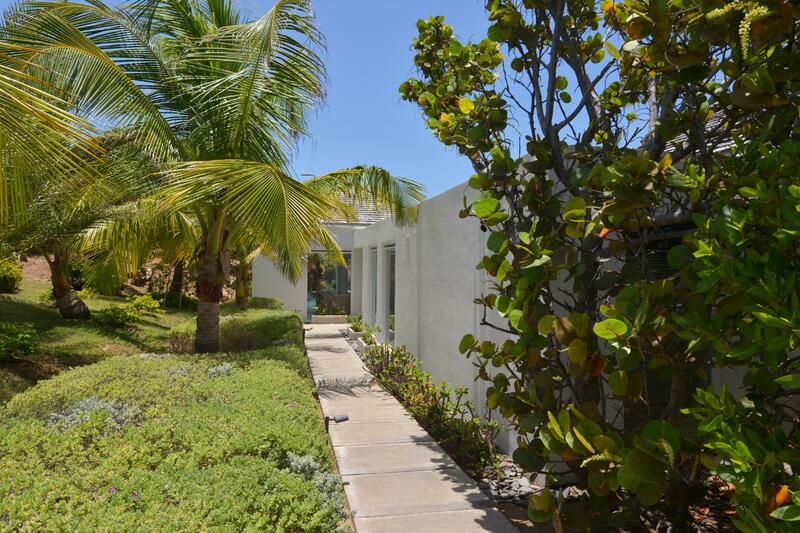 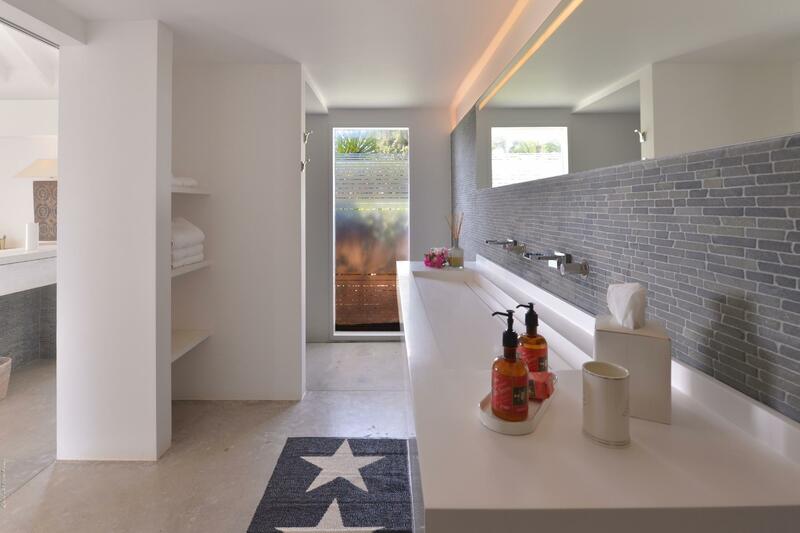 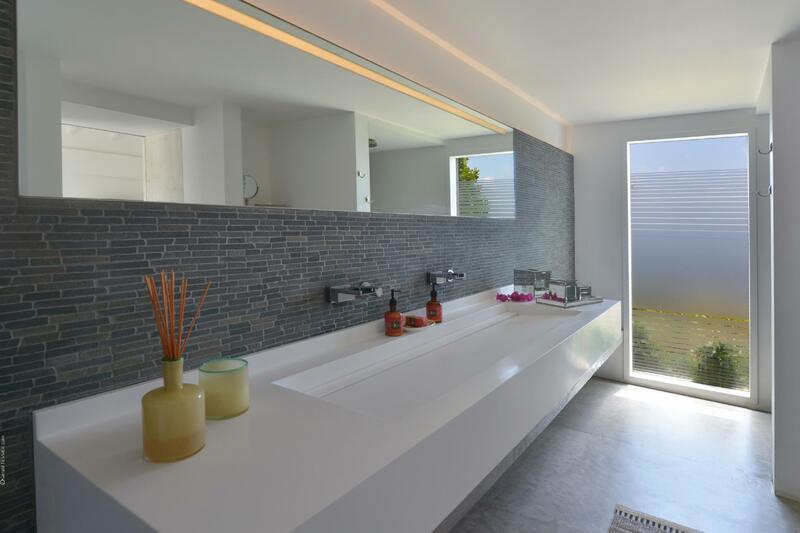 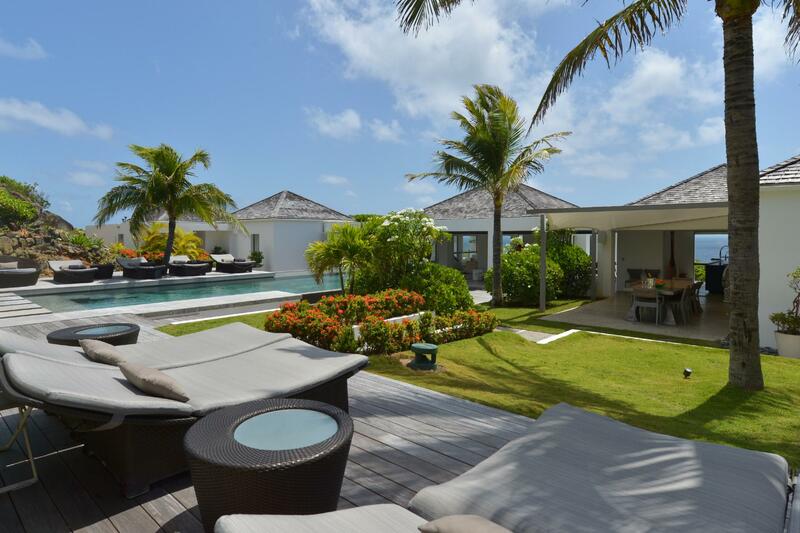 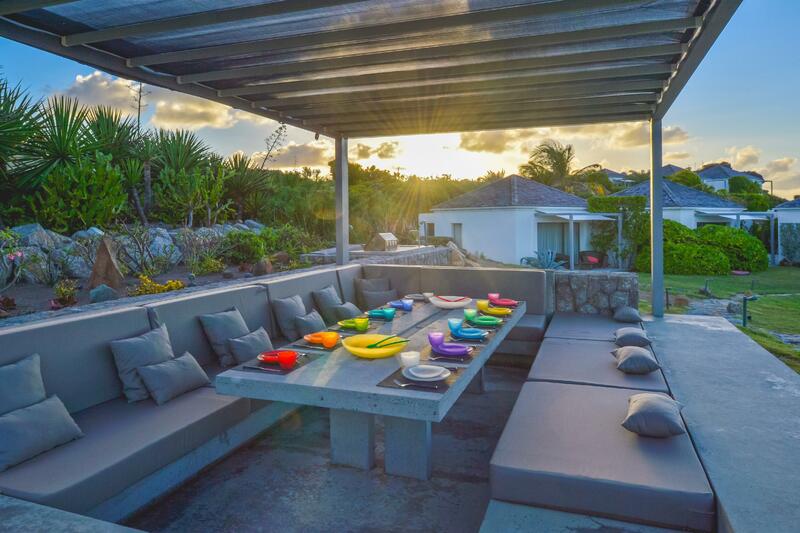 It is connected through landscaping and stone pathways to Casa del Mar, which has four equally sized bedrooms with en suite bathrooms and private sun decks. 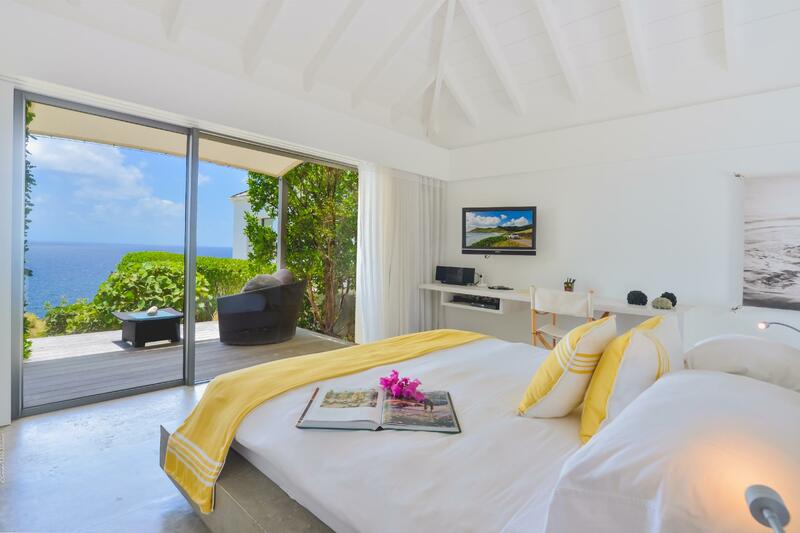 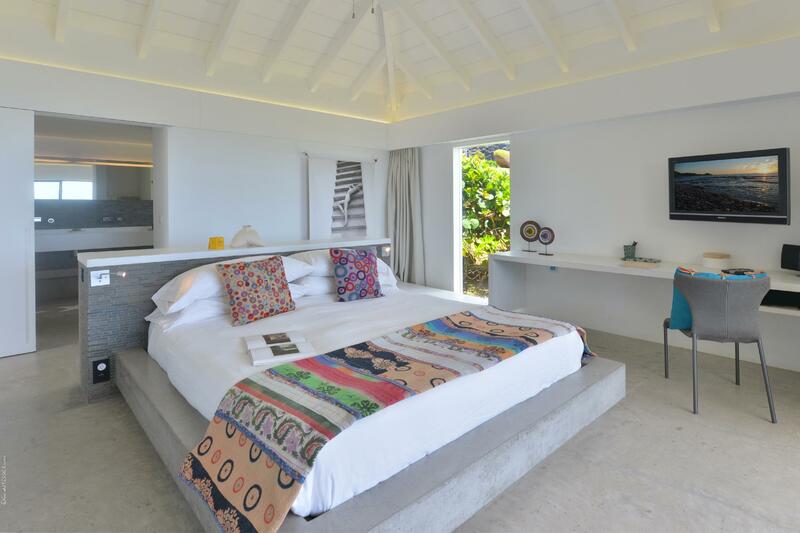 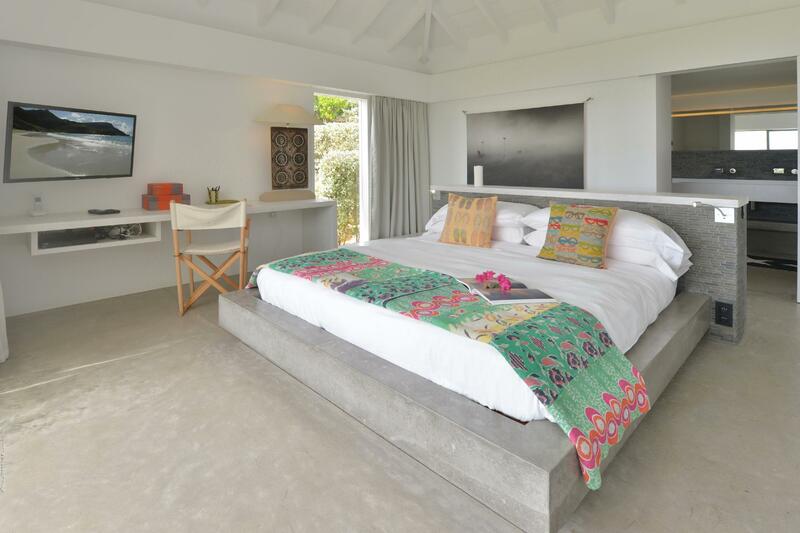 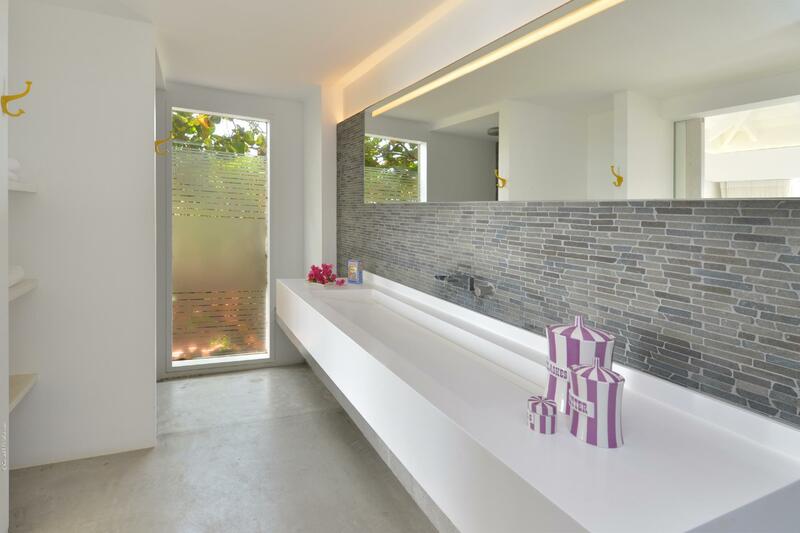 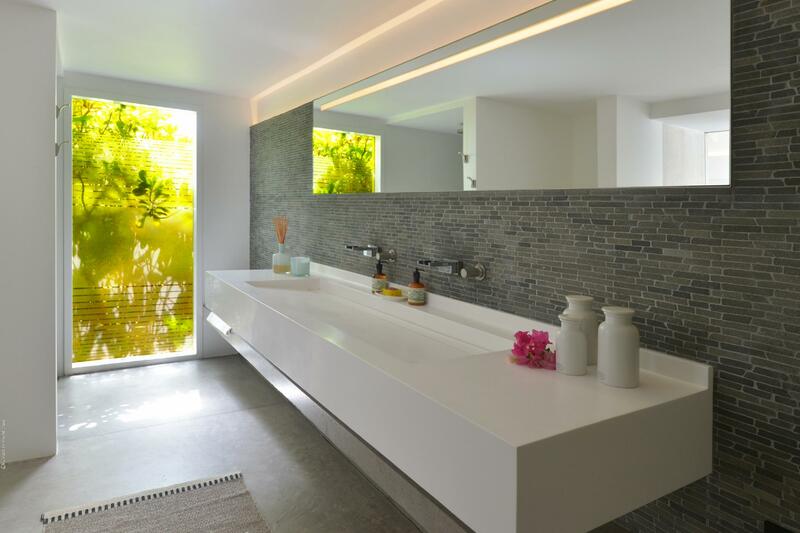 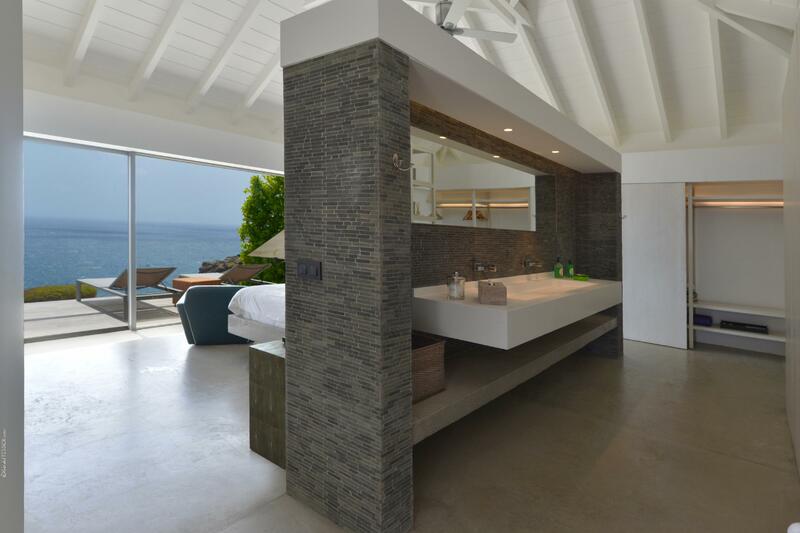 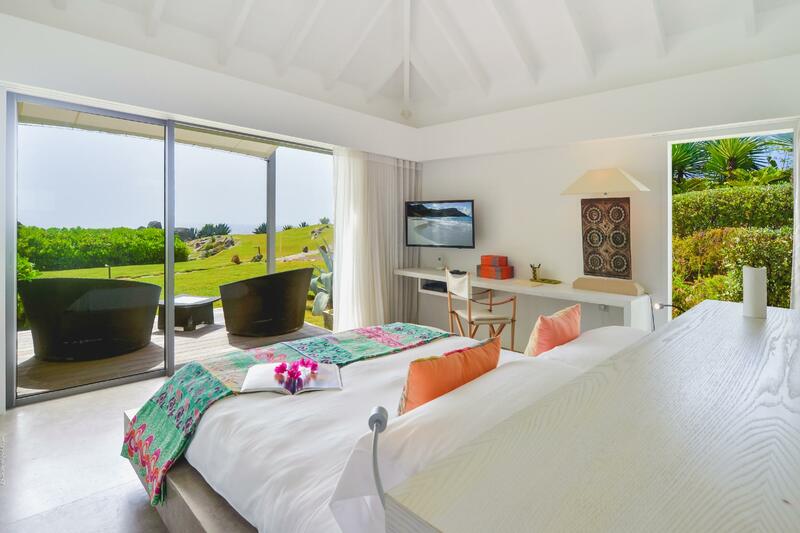 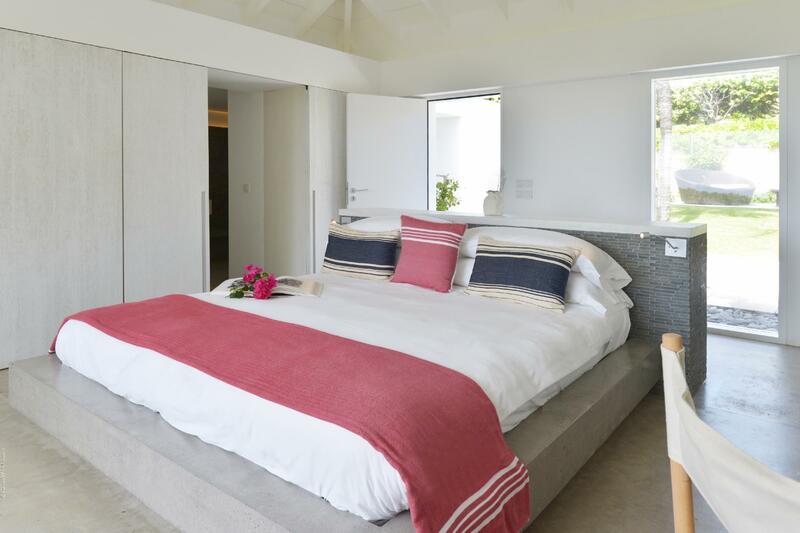 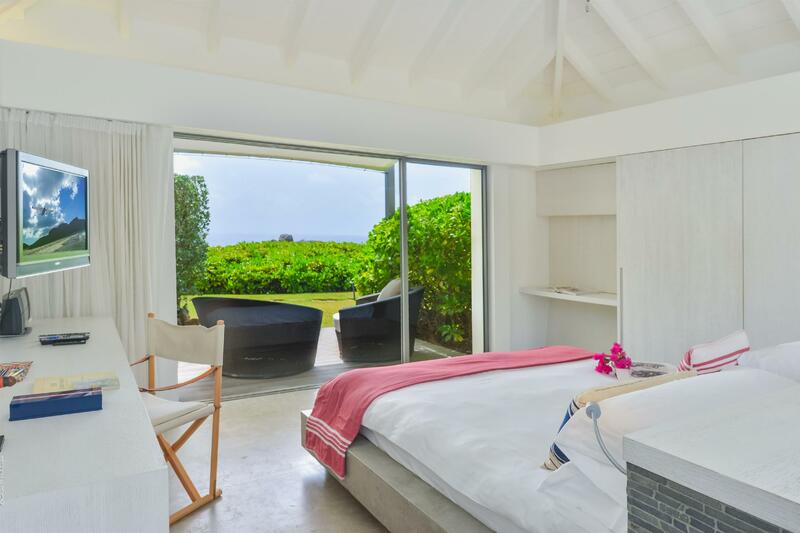 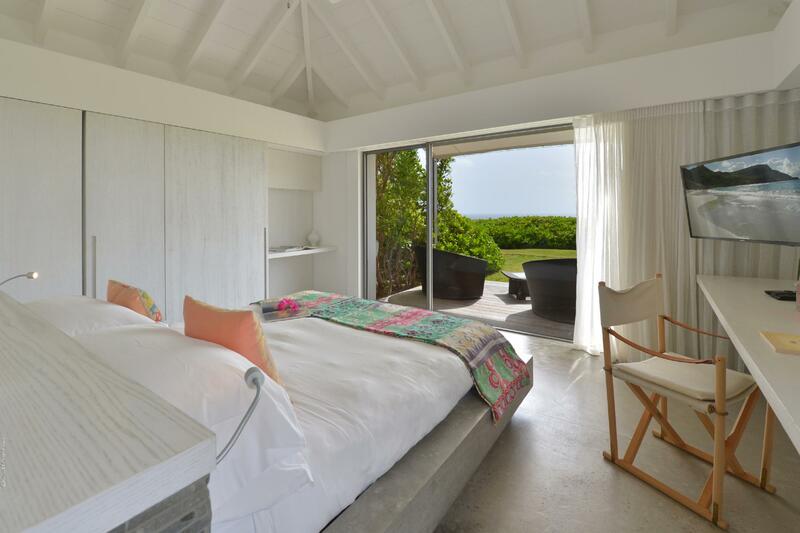 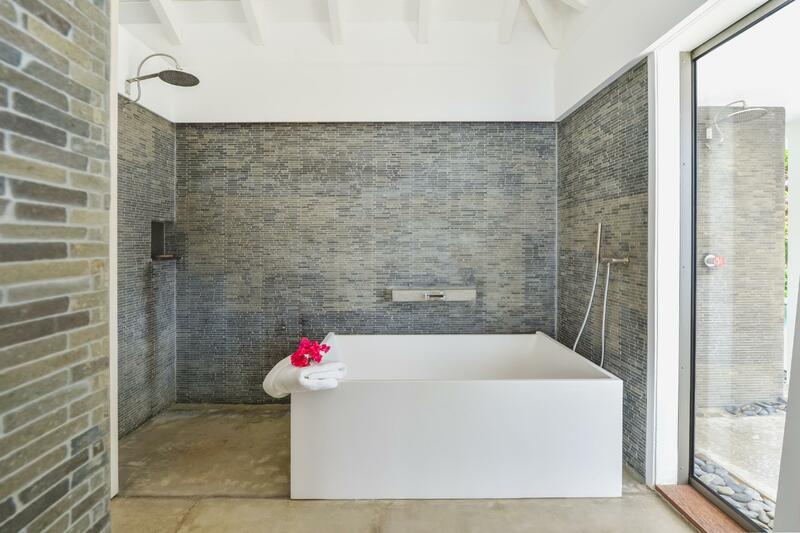 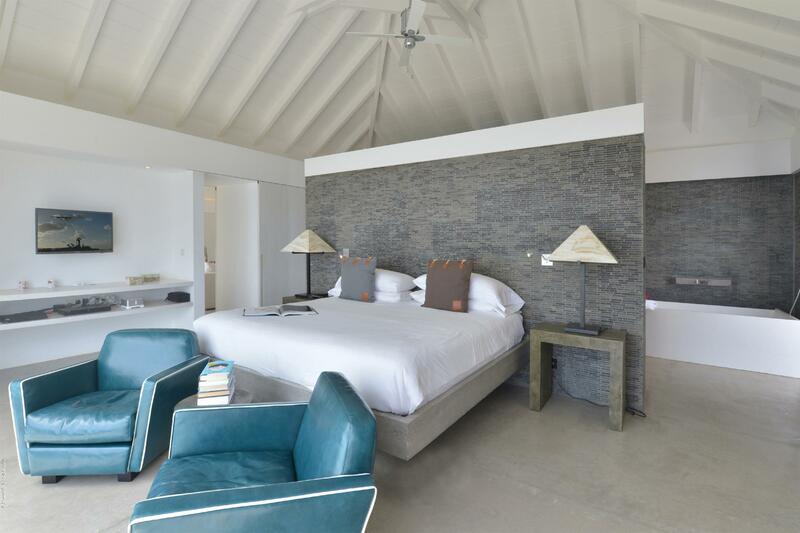 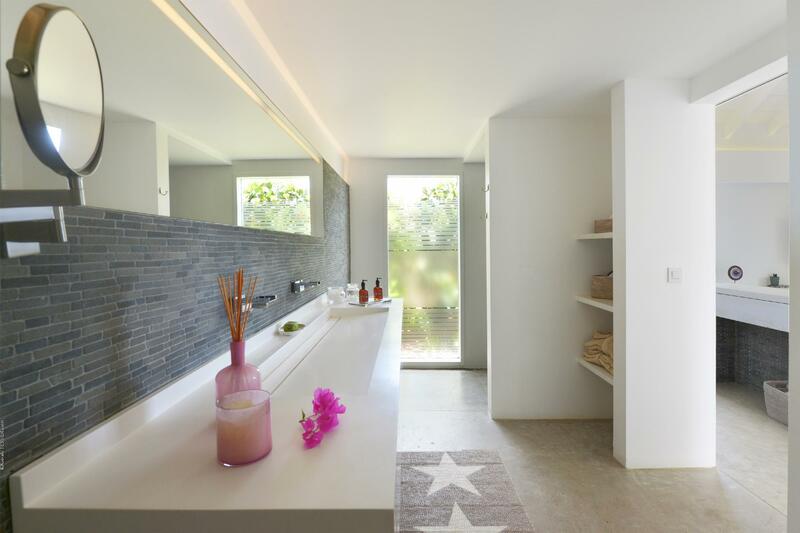 Throughout the villas, the bedrooms have a serene white-and-gray palette with splashes of fun tropical color on their bedding, and their large bathrooms are coolly elegant with their slate-colored tiles. 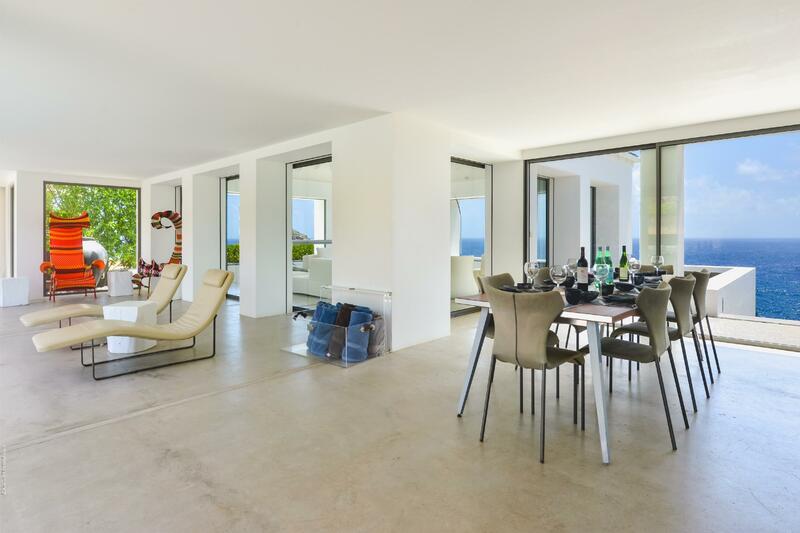 In Casa del Mar, the shared areas include the pool and sundeck, an outdoor dining area, a state-of-the-art Valcucine kitchen, and an air-conditioned living area. 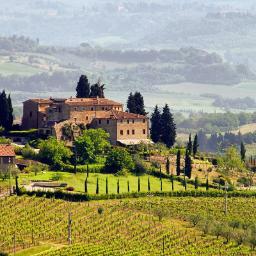 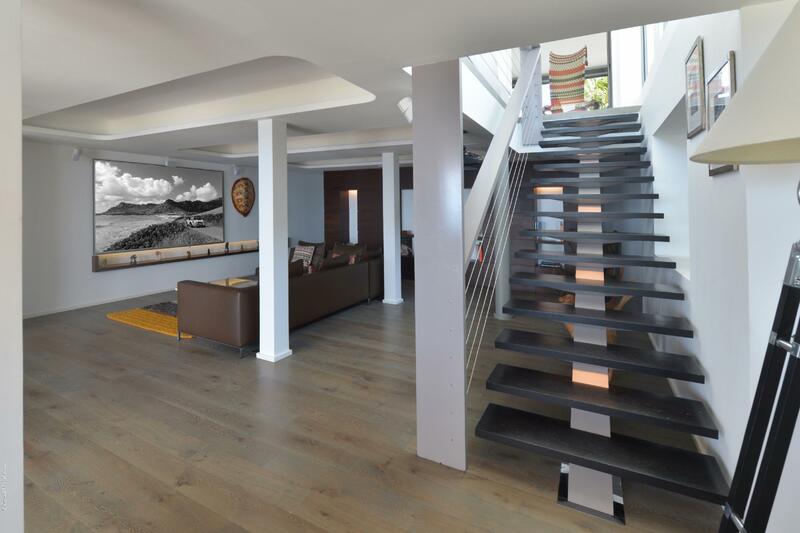 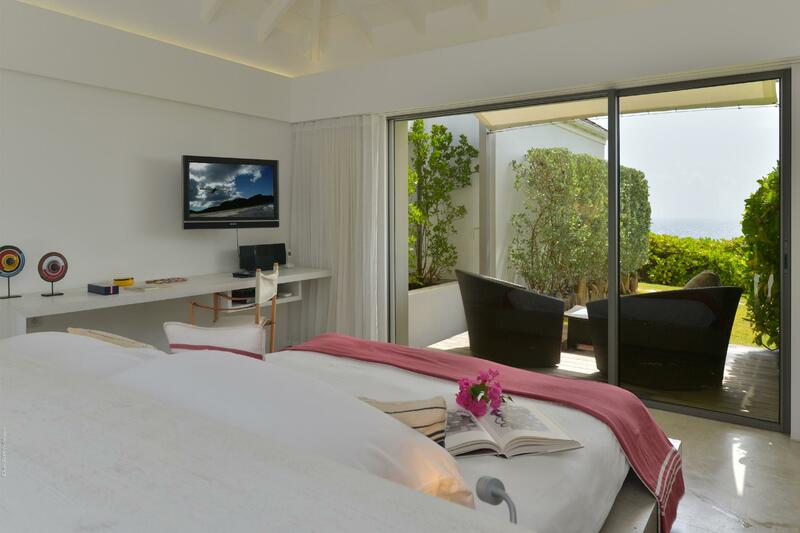 On the villa&#146;s lowest level is a spacious cinema, with a large screen and surround sound. 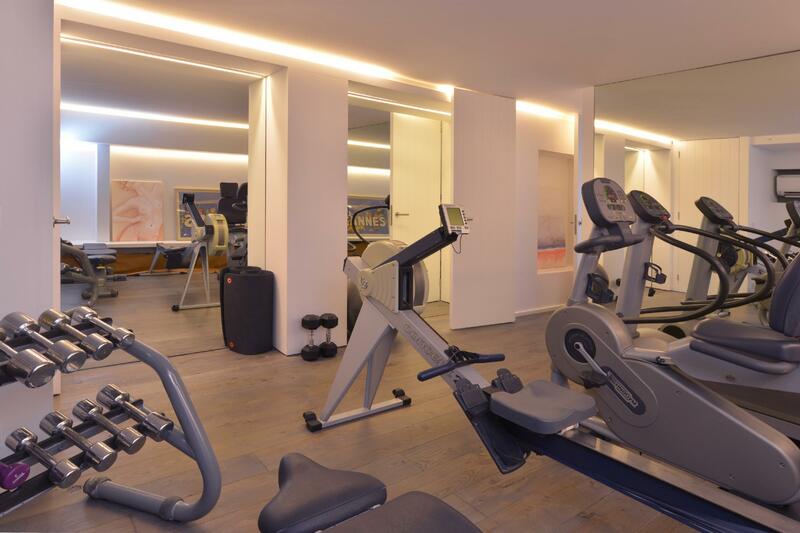 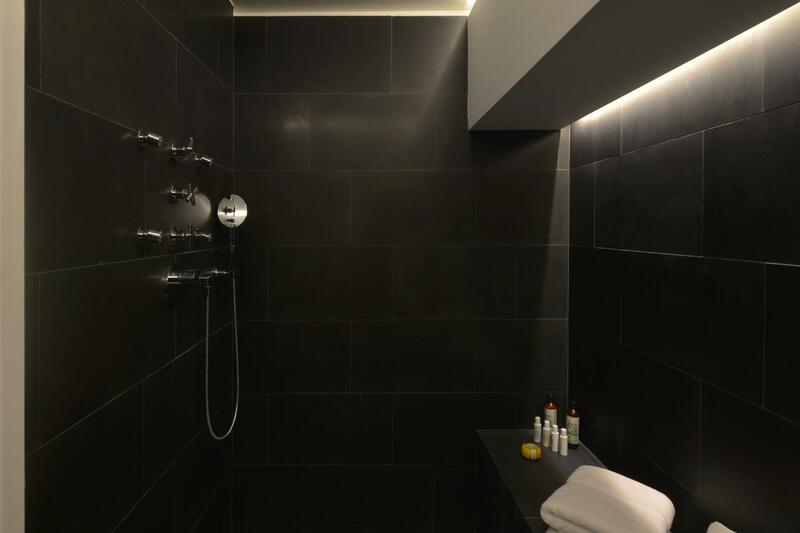 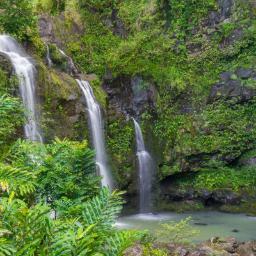 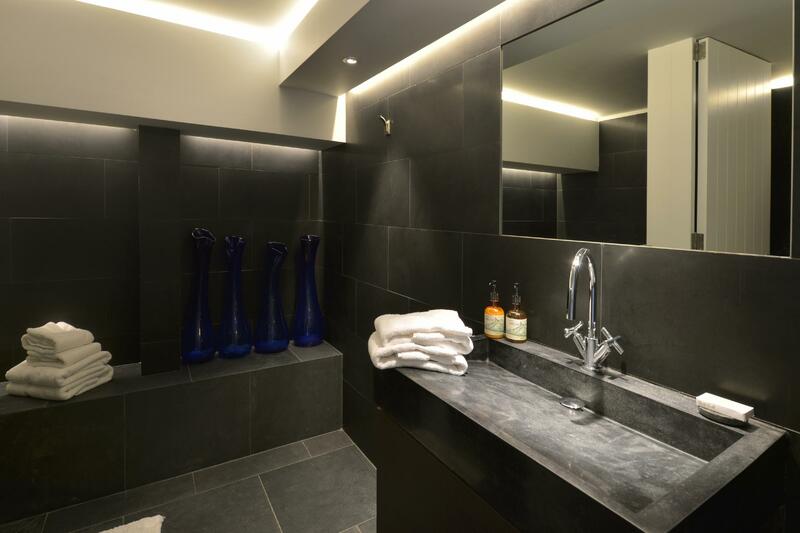 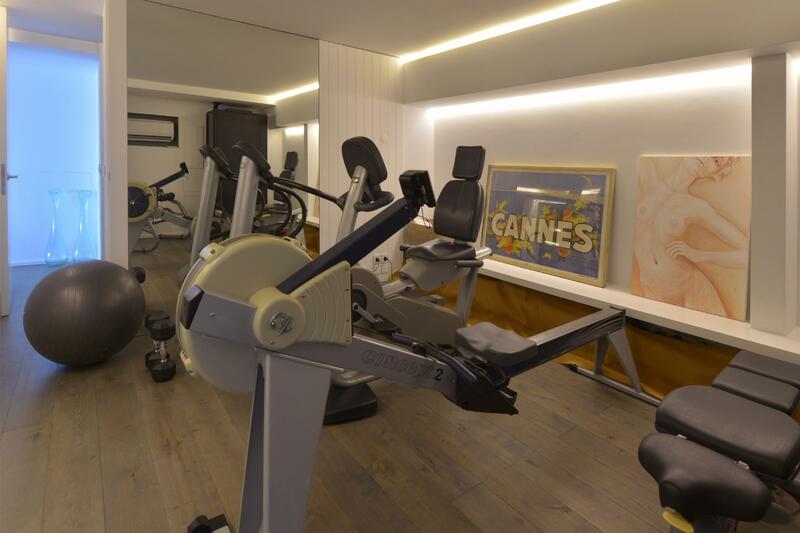 Also on this level is a fully equipped gym with its own bathroom and shower. 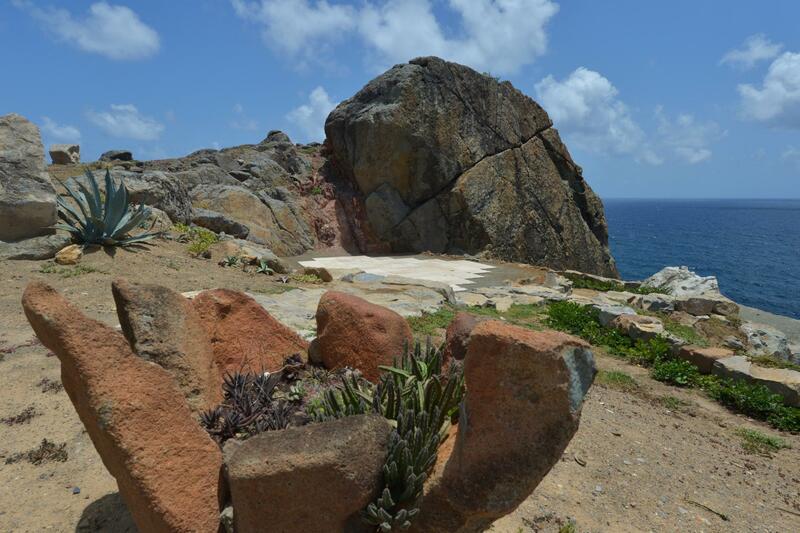 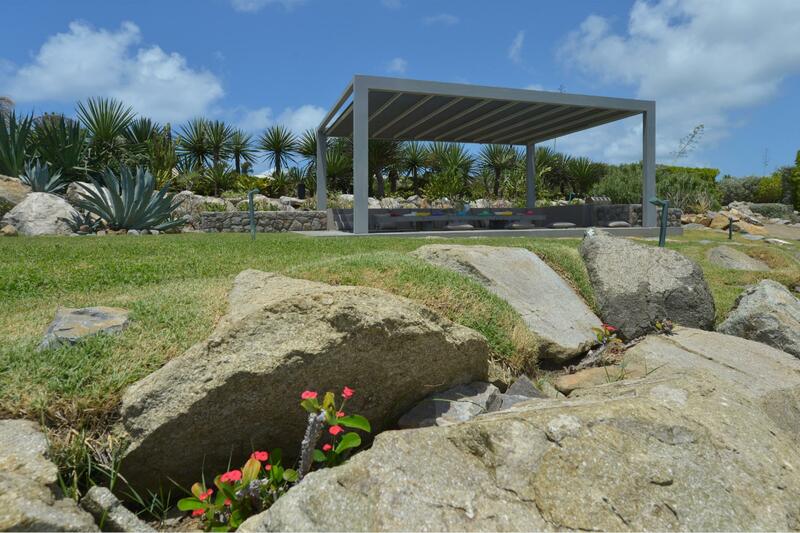 The remaining land is dotted with beautiful spots for sunbathing, gathering, dining and soaking up those incredible ocean views. 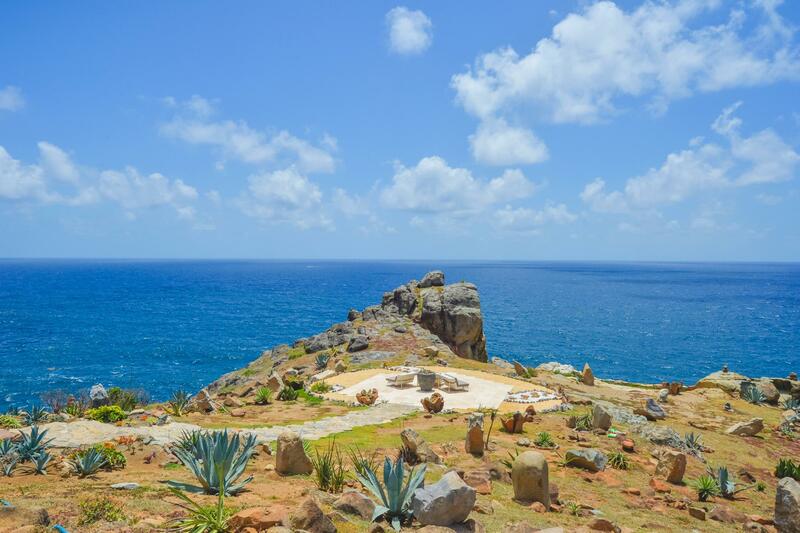 Among them are a large outdoor pavilion for barbecues and other cliff-side dining&#151;Sibarth&#146;s concierge can stock your refrigerator, or hire one of the island&#146;s top private chefs&#151;and an eight-person stone Jacuzzi with spectacular sea views. 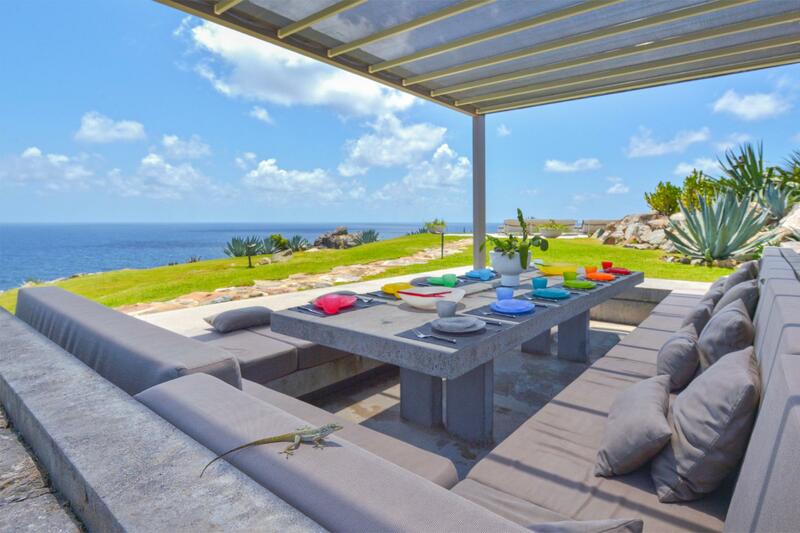 Two expansive sundecks (60 square meters and 70 square meters) are surrounded by beautiful landscaping and, or course, have unparalleled views. 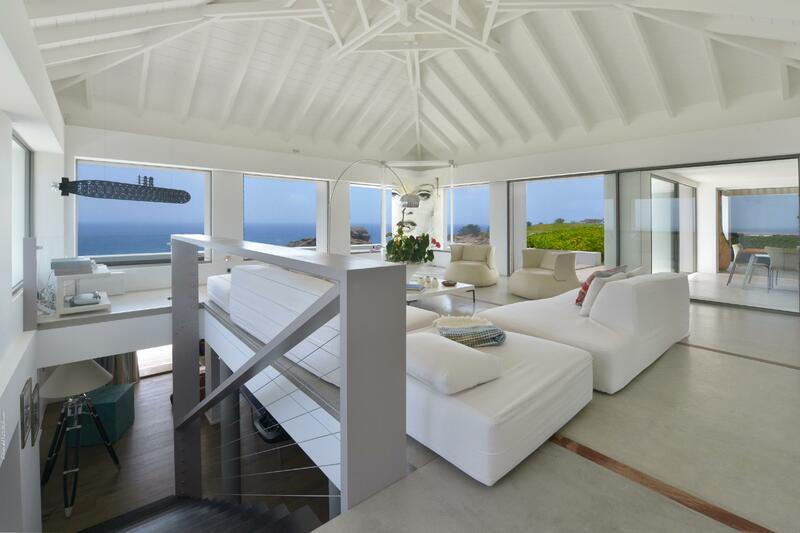 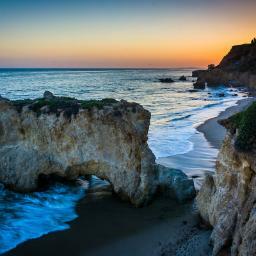 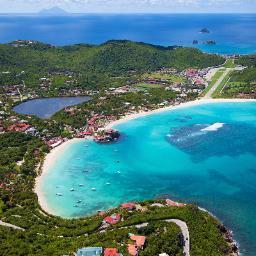 Sibarth Bespoke Villa Rentals is proud to offer the grandeur and superlative style of Casa del Mar.